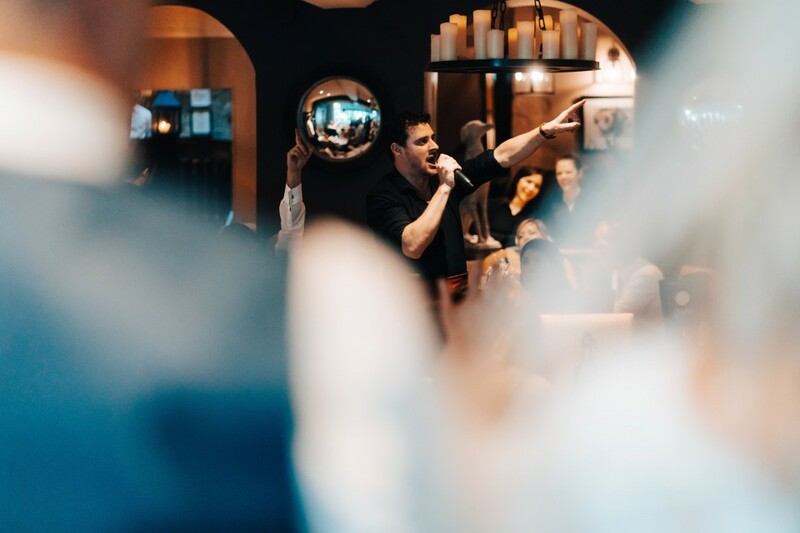 Specialists in providing secret entertainment to Corporate Events, Weddings and Private Parties, Undercover Singers combine the talents of West End performers to bring you the best in entertainment for your event. 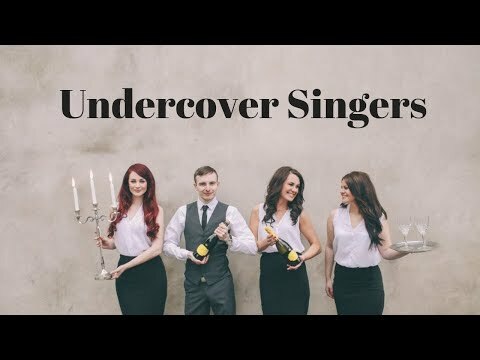 Undercover Singers specialise in Classical Crossover and Musical Theatre although they cover all genres of music, having performed at prestigious venues and events worldwide. 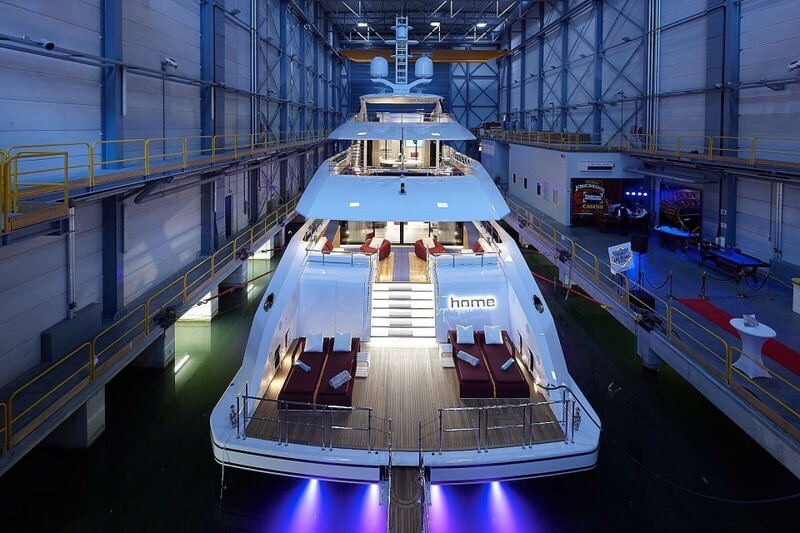 Highlights include the 2015 Champions League Final in Berlin, Stamford Bridge, and launching the brand new Super Yacht "Home" in Holland. 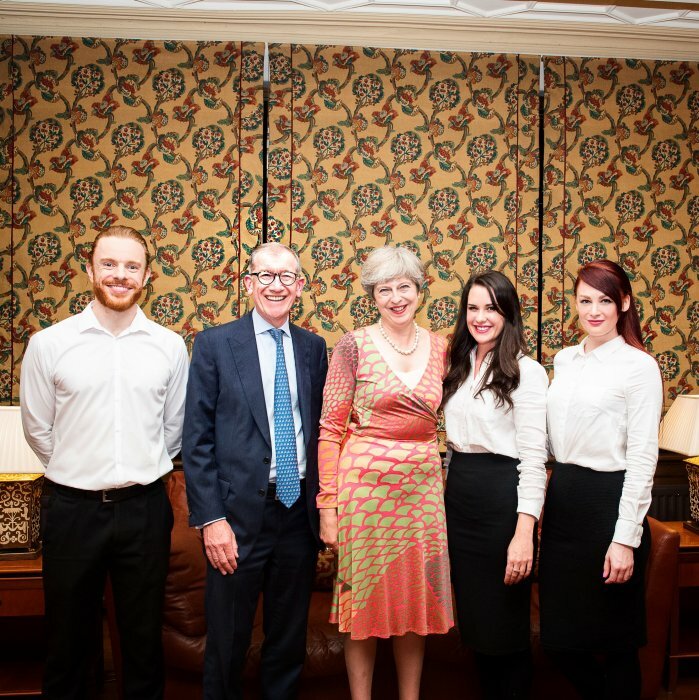 Celebrity clients include the Prime Minister - Theresa May, and Lee Brennan from 90's Boyband "911" to name but a few. 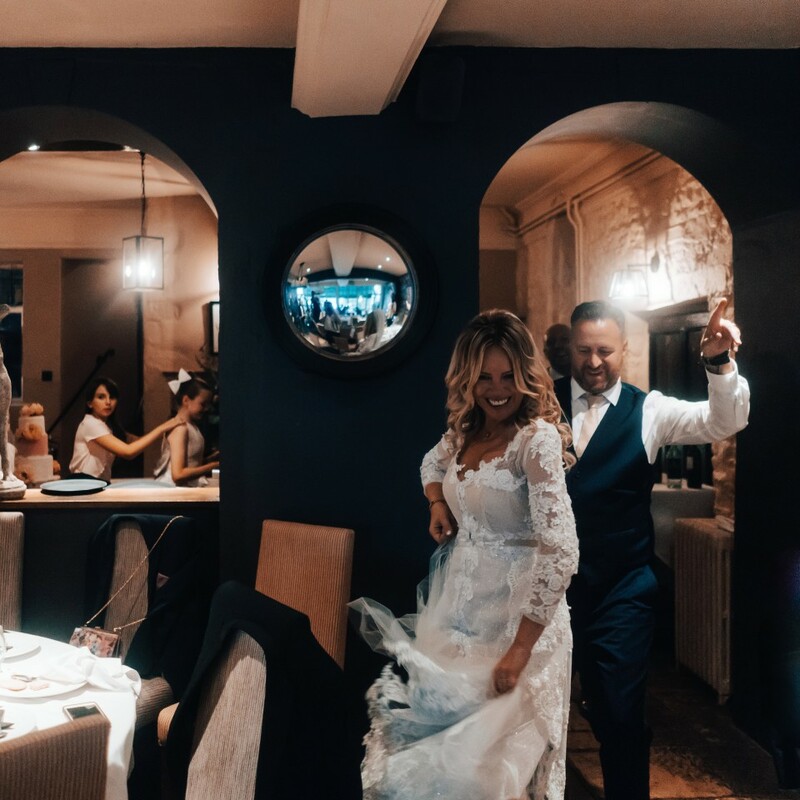 Undercover Singers have an extensive repertoire, here is a selection of Classical and Musical Theatre songs that they can perform at your event. 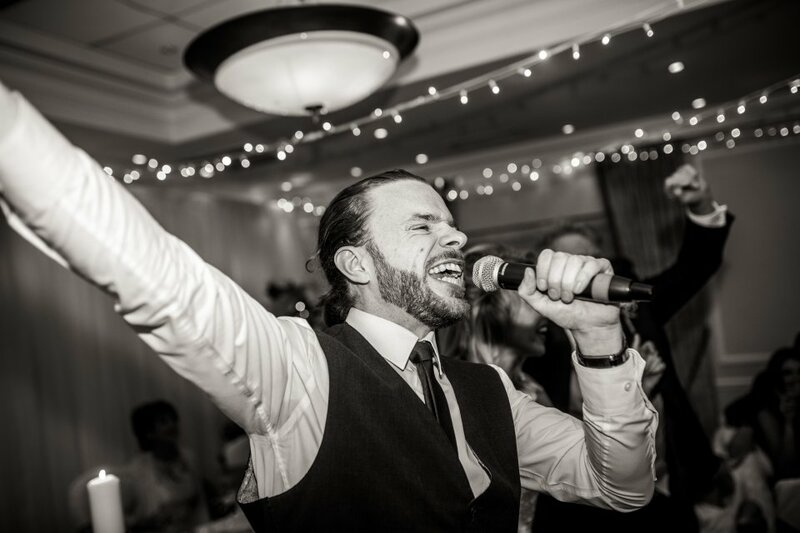 Please note that although they specialise in Classical and Musical Theatre, Undercover Singers cover a wide range of styles from current chart music, Motown, Rat Pack, Abba, Swing and many more. If you find your song is missing from this list, they will learn up to two additional songs, also the classical crossover section will need to be arranged in advance so the right performers can be requested. Please ask your Warble agent. Our repertoire list is a collective list between all singers, so although we know the majority, some may not be suitable for certain singers due to keys/backing tracks. Please check for availability before requesting songs as these are only available for certain singers. Some songs require 4 or more singers due to harmonies/parts. Number of Reviews and Counting... 73! 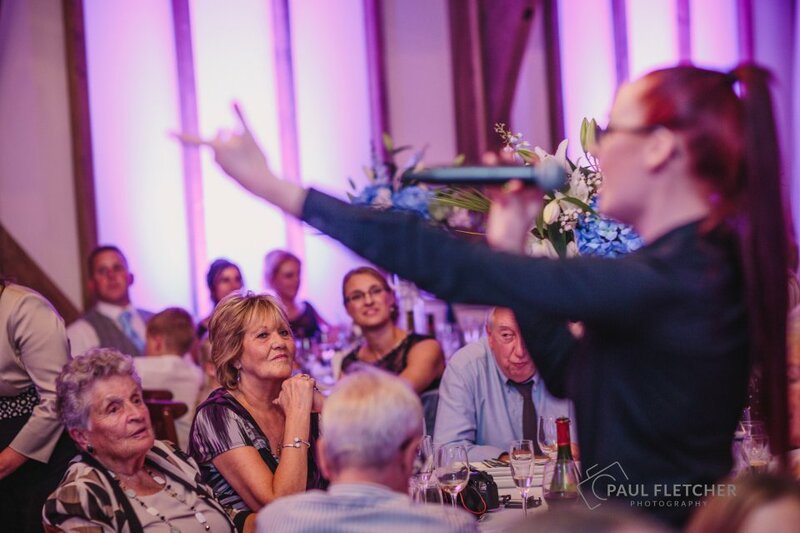 Undercover Singers combine the talents of West End performers to bring you the best in entertainment for your event. Specialising in classical/crossover and musical theatre, each member of the cast has trodden the boards of the West End stage, appearing in shows such as Spamalot at the Playhouse Theatre, to charity galas at the Garrick. 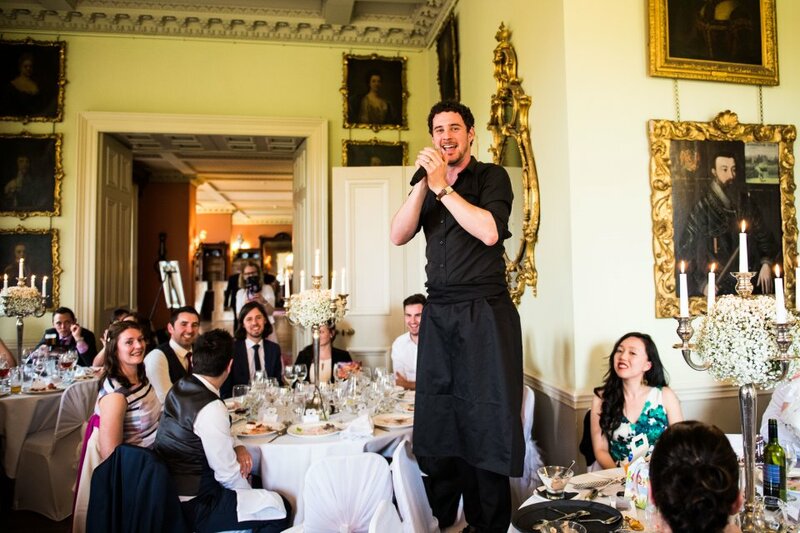 Usually performing for 20-30 minutes, Undercover Singers will integrate themselves into your special day, usually taking on the role of the waiting staff or one of your guests. 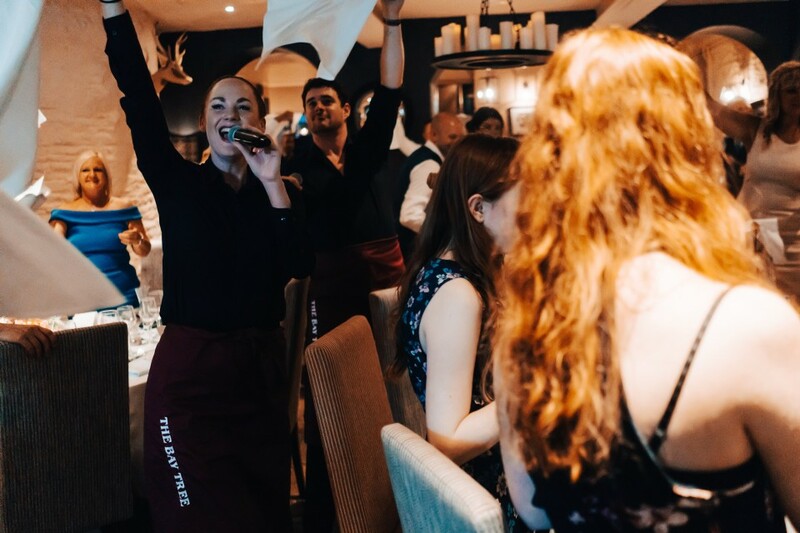 Then - when you least expect it - a commotion will happen and one of the staff will drop a large tray of cutlery - before bursting into song - much to the surprise of your guests. As each song is introduced another member of the cast will join in, and audience participation is definitely recommended! Individually, artists have performed at some of the most prestigious venues around, including the Champions League Final in Berlin, The DW Stadium, Blenheim Palace, Nottingham Ice Arena and The Dorchester, supported the likes of Steps, A1 and Atomic Kitten on Arena tours and performed for Royalty, Dame Helen Mirren and Michael Ball. 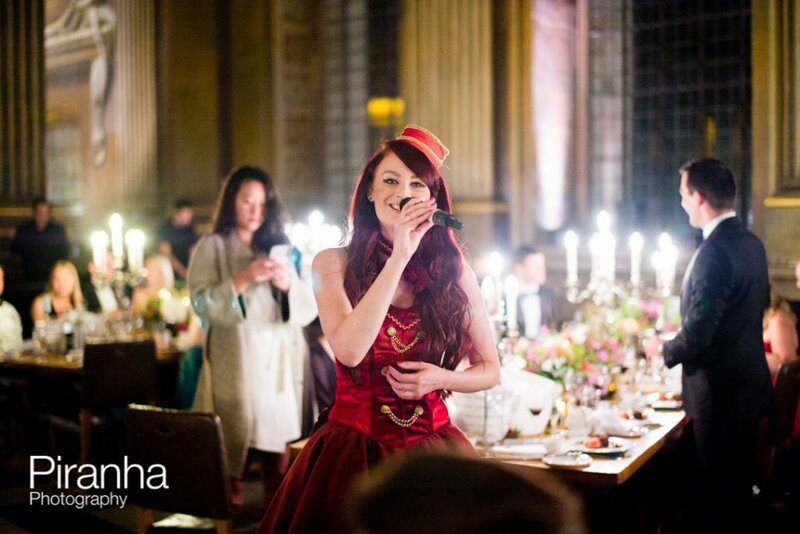 Undercover Singers are the perfect choice for any special occasion. Undercover Singers use the same core performers - all of which have performed in the West End, major UK tours, or appeared on shows such as "Britain's Got Talent", or "The Voice"
Please note - There will be a price increase for bookings between the 20th-27th December, and New Years Eve. Shows with a 3 hour commute in one direction (not allowing for traffic) will need to provide a hotel room for performers. 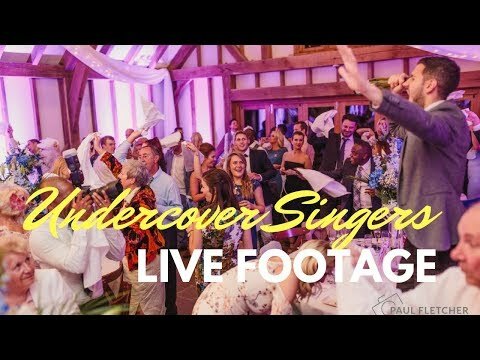 I booked Undercover Singers for my wedding to surprise my guests and Lucy and Ben were absolutely fantastic! They made the day so special. Everyone could not stop talking about them all day! They got everyone up dancing and singing, it really was amazing! I would recommend to anyone thinking about doing this, it made our day so unforgettable! They blended in so great that no one suspected a thing, and they sang amazing! Thank you so much for a fantastic time!!! The Undercover Singers were superb and made the day. I have never seen my daughter, whose 21st it was, so happy and it took her a few days to come down from the buzz of the excitement. 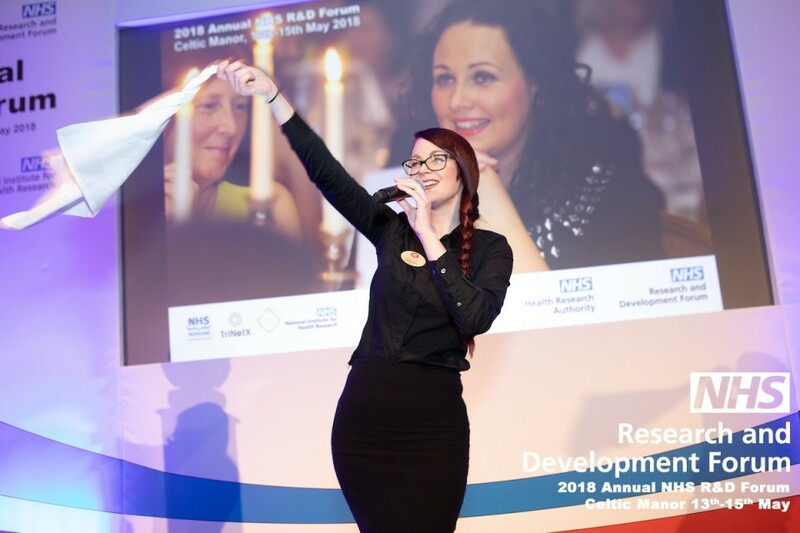 Beth and Holli were fantastic, brilliant singers and how they merged into the staff was great to watch (though I quickly realised who they were - but no one else did!). Again can't say enough about the experience and thank you to Libby for organising. 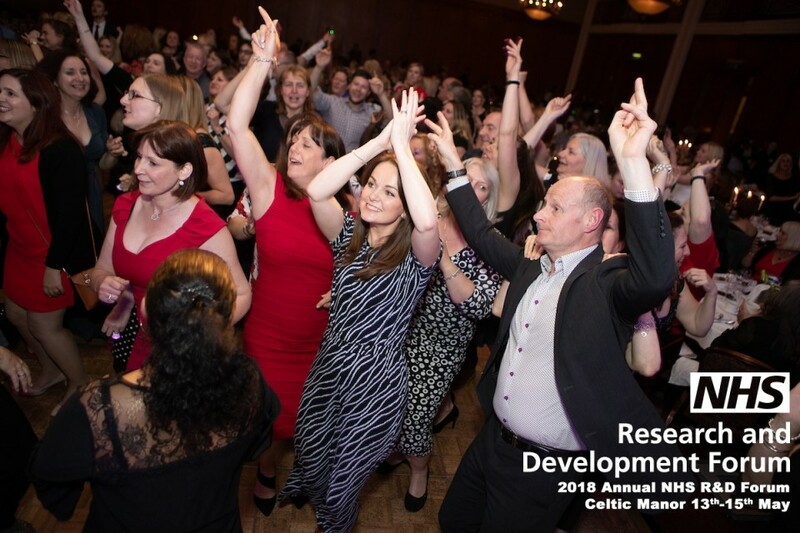 Everyone loved them, great to get the party started and get everyone up and dancing. 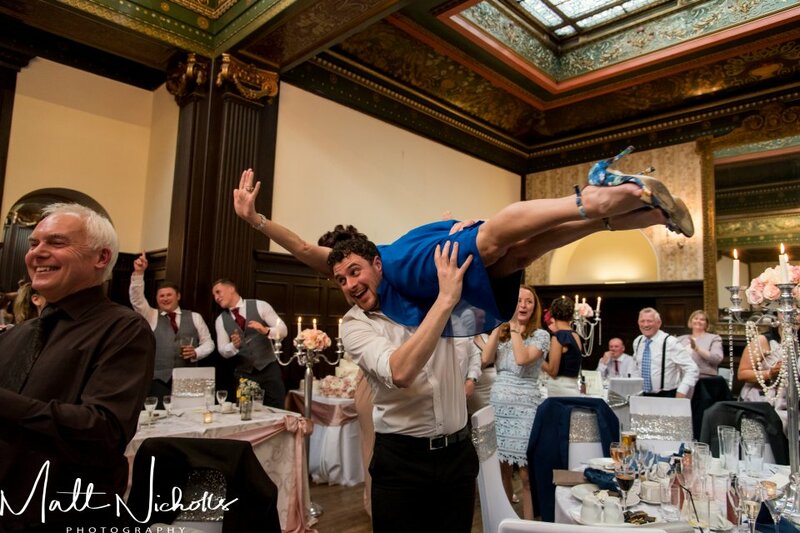 Brilliantly entertaining, highlight of our wedding day! They were great! They had everyone captivated and it was amazing. One word - AMAZING!! Thank you very much! The performers were excellent. The ease with which they merged with our party was amazing and then they really kicked it into gear with a fabulous performance. Absolutely fabulous, they made the evening. They were very accommodating with singers and music choice. Highly recommended. I just want to say how utterly fantastic you both were! I knew it was going to be the highlight of the day and I was right. Everyone is talking about it. 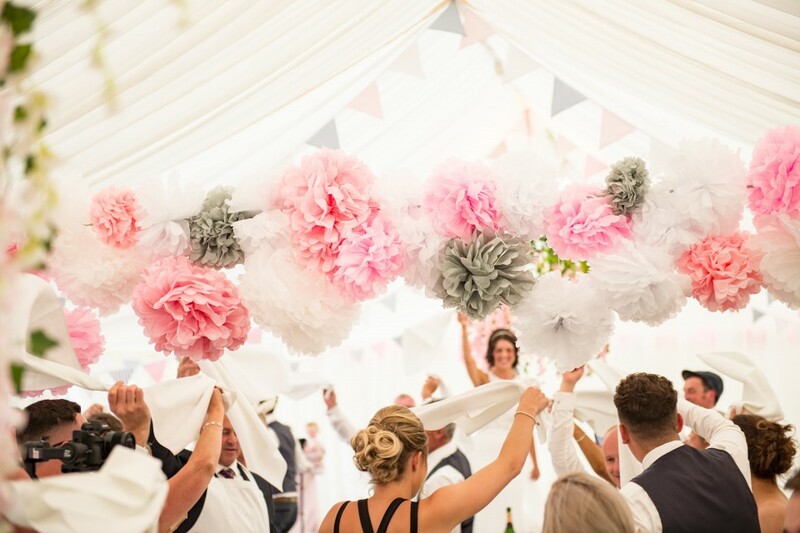 The venue want your details so they can recommend you to other clients. You were awesome. Thank you for making our day so special. We were all extremely please with the undercover singers, they are extremely professional and extremely good at what they do. 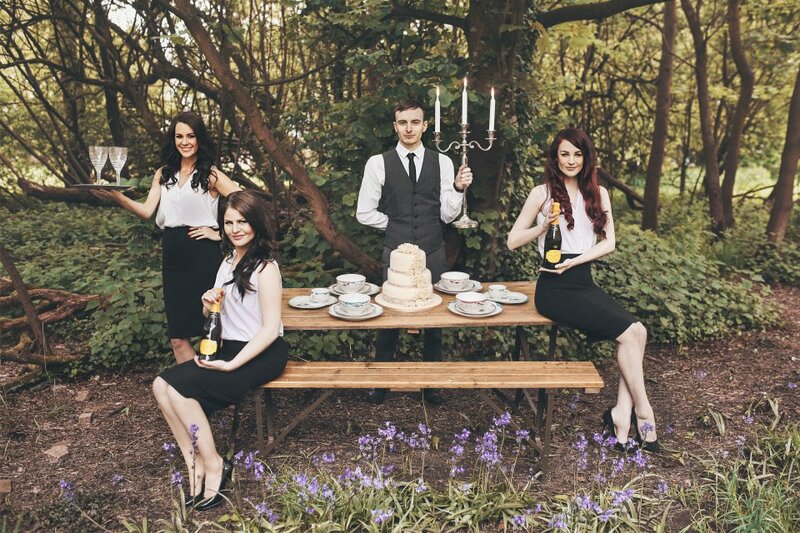 Would recommend them to anyone - they really brought the wedding to life and got the party started. Wow what can I say! 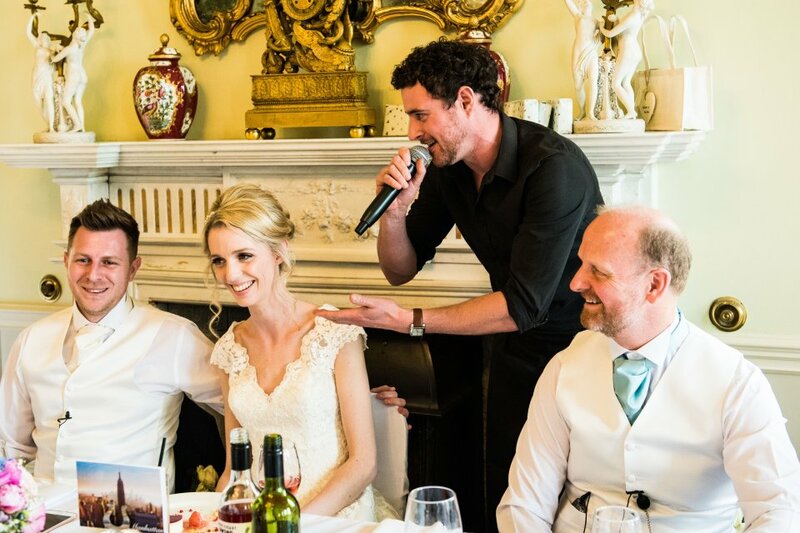 I hired the Undercover Singers for my wedding and kept it a secret from everyone - not even the groom knew! They were absolutely outstanding! Everyone was so shocked and were on their feet within seconds! 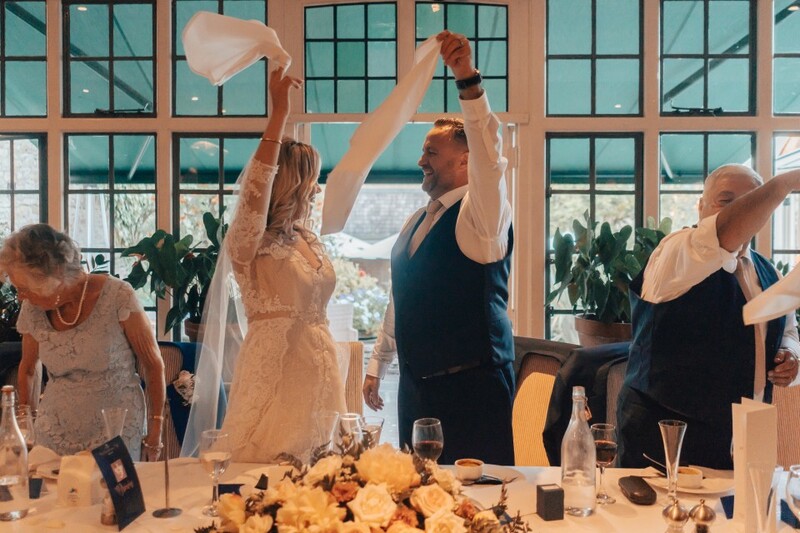 My husband thinks it was one of the best parts of the day and our guests have kept going on about how amazing they were! 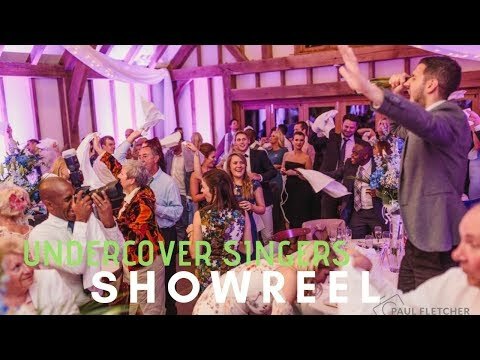 I would highly recommend booking Undercover Singers, it came at the perfect time when everyone was full of drink and food and hitting a bit of a lull and put everyone in the mood to continue celebrating and dancing. It honestly was an amazing part of the day, and I'm so glad I booked them and managed it to keep a secret!! Thank you so much guys, you were amazing! 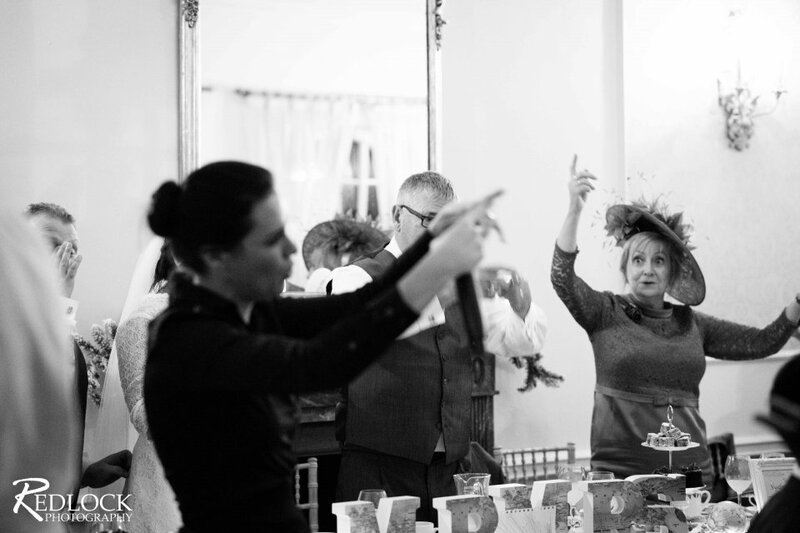 Brilliant act that went down tremendously with all our guests - couldn’t fault anything. A big thank you to Undercover Singers. Wow, these girls know how to get a party started! Amazing fun from Undercover Singers, both girls are so lovely and an absolute pleasure to work with. Knowing everything is in their capable hands made the whole experience so enjoyable and the singing was fantastic!! Great songs (so many to choose from) great fun, a great surprise and if you are questioning booking them DON’T! - BOOK NOW! It would be wonderful to work with the girls and their team again. Thank you for such an enjoyable night. Absolutely brilliant, from the help from Libby to the actual performance, just sheer quality. 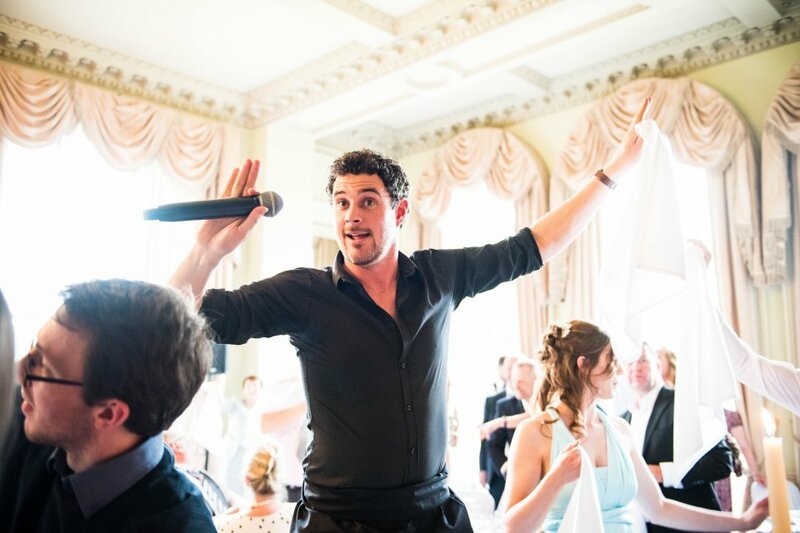 The combination of both Libby & Kevin's voices, especially the opening classic songs was just perfect, their interaction with all the guests was magic, and for the final numbers everyone, I mean everyone, was up and joining in. Overall, 10 out of 10, would really recommend Undercover Singers. Wow, what can I say? Amazing from the moment everyone got over the shock of the waiter falling over and got everyone up singing and dancing. 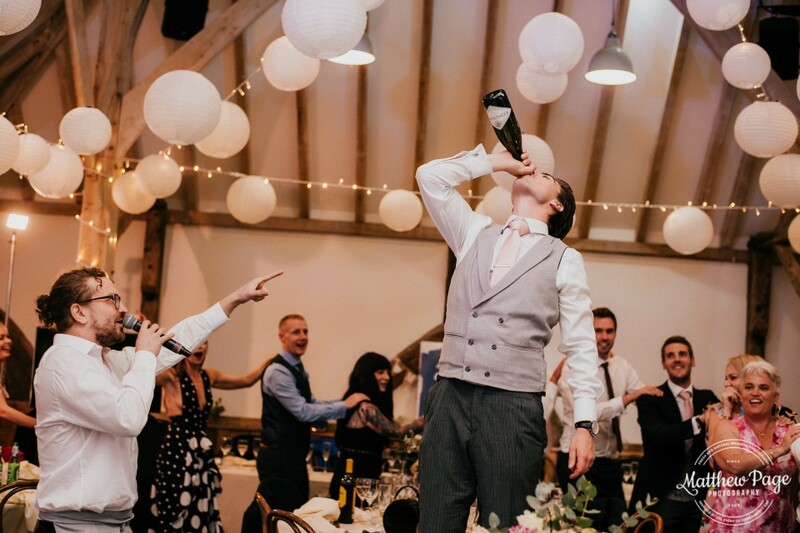 Made my whole wedding special as nobody had a clue or had ever seen anything like it before. 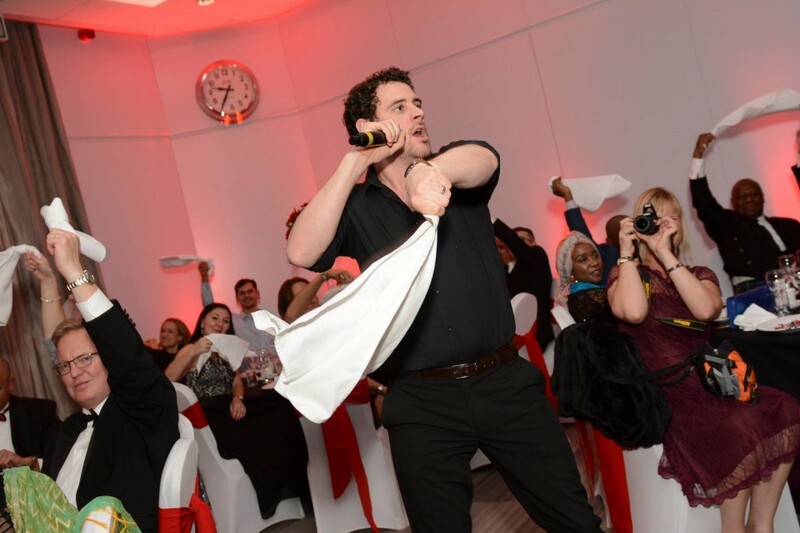 Even the waiters from the hotel were singing and taking pictures. Well done boys! Really positive feedback from everyone at the party, they all thought the singers and the life they brought to the party was great. Will definitely recommend them. Thank you so much. Absolutely fabulous. My Mum and Dad’s 60th Wedding Anniversary and they made the event. 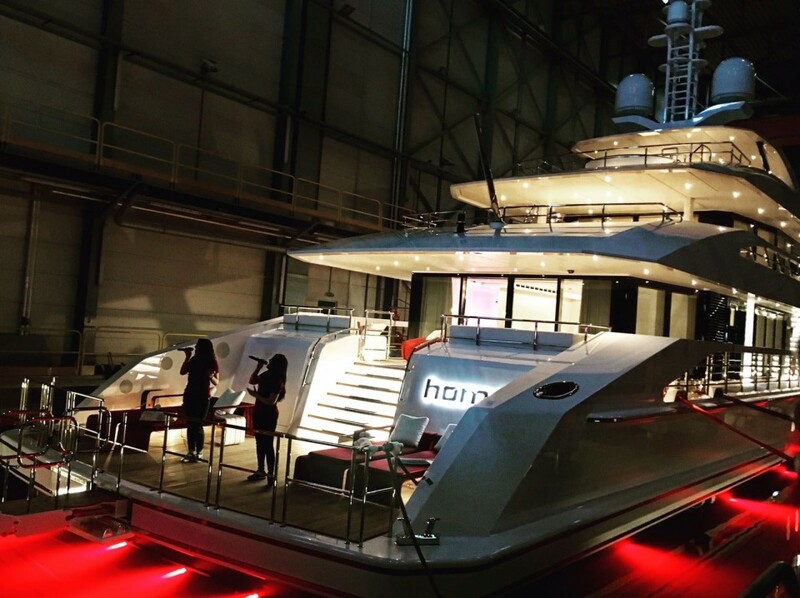 Amazing surprise for all the guests! Their singing was of the highest quality, with warmth and feeling. They were fantastic and all the guests were amazed and surprised. Fully well worth the money. The Undercover Singers were amazing and brought back the party atmosphere, just as the mood was dampening down. This made our wedding for us and for a lot of our guests. Thank you to Libby and the team. Amazing! Hearing Undercover Singers sing Nessum Dorma was incredible. No one suspected and the guests loved it. 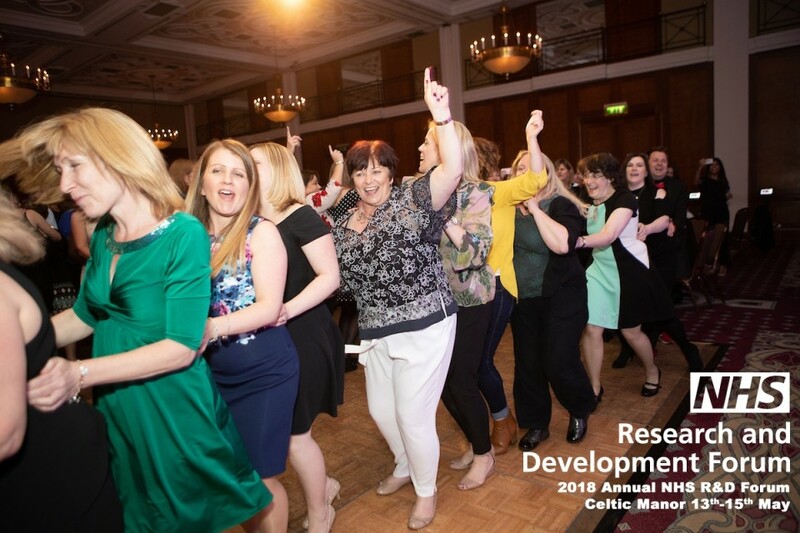 I have never seen a 400 person conga before! It was fabulous. Undercover Singers were amazing. They arrived in plenty of time for the event and when they started singing got everyone's attention. They sang some real classics and then some more modern upbeat songs where everyone joined in and got everyone dancing. I will be recommending them to everyone, simply amazing! Thank you! Fantastic performance. We worked well ahead of the event to prepare as much as possible and it showed on the evening. The reaction to the ''trigger'' for the performance to begin worked brilliantly, would certainly use again. Absolutely amazing! Everyone was up singing and dancing. Would not hesitate to recommend! Undercover Singers were excellent. Really good fun and really got the party going - Thanks to them both. They were marvellous and our friend really thought he was in trouble for a minute! The Undercover Singers were brilliant and I will definitely book again. Stunning, simply stunning. The undercover singers I booked could not have been more professional, helpful or accommodating. Communication between us we good and they were very helpful in guiding my choices of music. Their act and their voices were mesmerising. My Wedding guests were stunned. 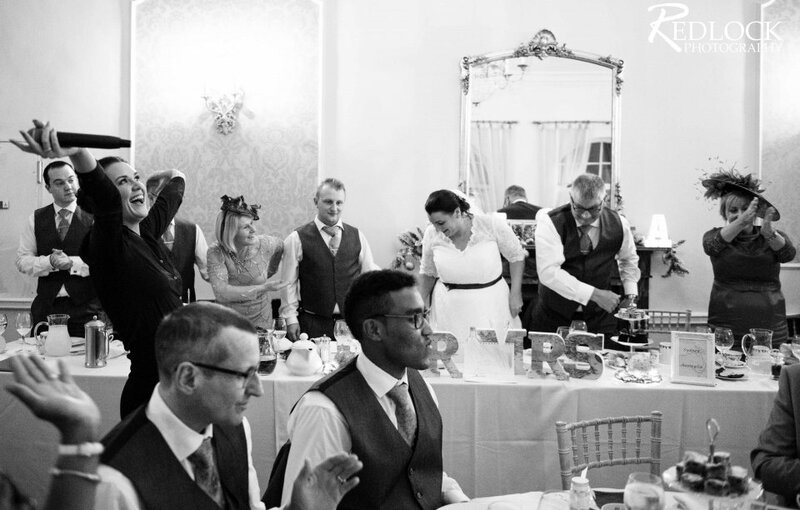 During 'Time To Say Goodbye', some of the guests admitted to becoming tearful (in good way!). The audience stamped, clapped and cheered. People who didn't know anything about opera, or couldn't understand Italian, all got swept up in the moment. The three singers had the audiences undivided attention from the moment they came on until the last fading note. They made the wedding. They took it somehow to another place. Yes, I'm sure other singers and vocal groups are available - but really, why would you bother if you can have these? The Undercover Singers went over and beyond my expectations - they were brilliant. I had watched the videos online, however nothing compares to their superb performance live. 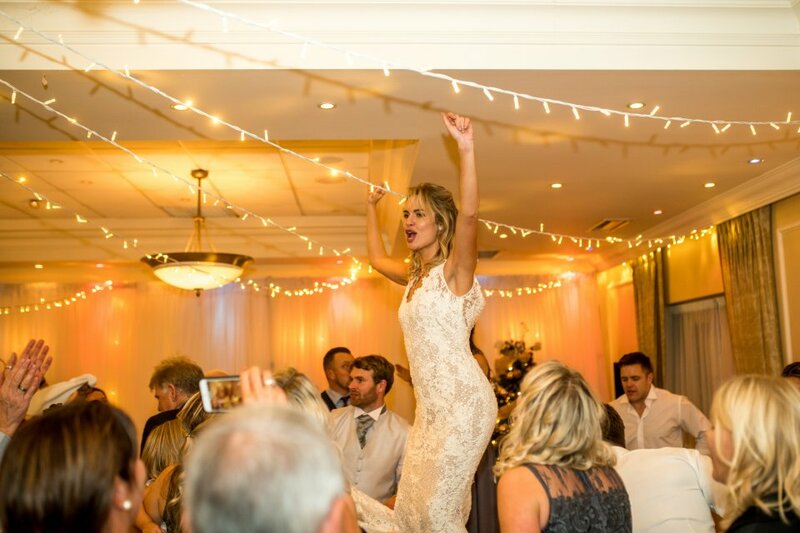 They managed to have all of my guests up, singing and dancing, within seconds (after the initial shock that they were not in fact waiters of course). 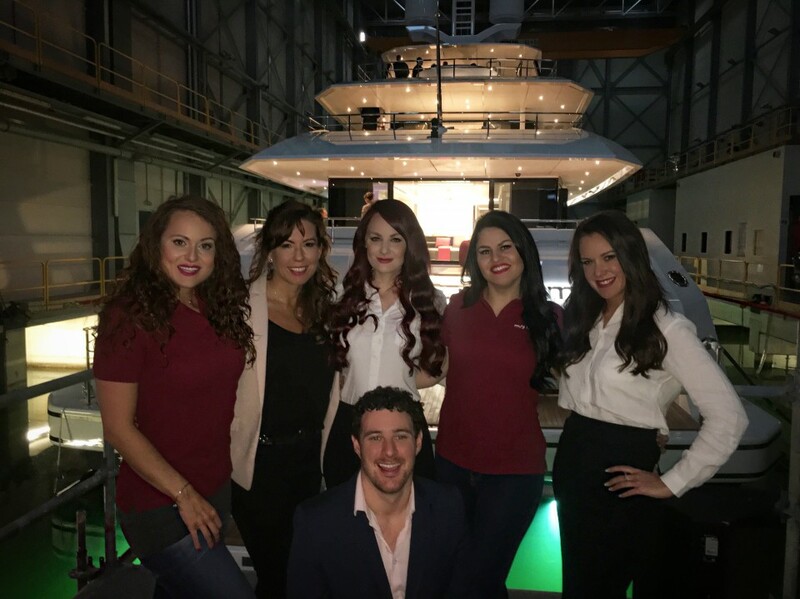 They are a first class act - very professional, friendly, reliable, and of course wonderful singers. I wish them all the best in the future and would not hesitate at all to recommend their services. Libby and James were absolutely brilliant and definitely the highlight of our birthday party bash. They got 70 of us up on our chairs singing in a small Italian restaurant. They were professional but lots of fun and nothing was too much. Would highly recommend them. Sara. This act is unbelievable. I booked them for my own wedding without meeting them, in my head I spent the afternoon trying to guess which of the waiters were the singers. And had no idea until they started singing, within minutes they had the whole room joining in. Singing and clapping. Their voices were amazing and they had half the room in tears of joy. Will definitely book again. They were AMAZING. They were simply amazing, very professional. They totally made my Dads 80th party and he was thrilled. We've had some lovely comments from people and I would highly recommend them. Kristian and Joe were fab. They are both really great guys. They got our party off to a lively start with guests up dancing straight away. Highly recommend. Amazing act! Cannot praise the girls enough! 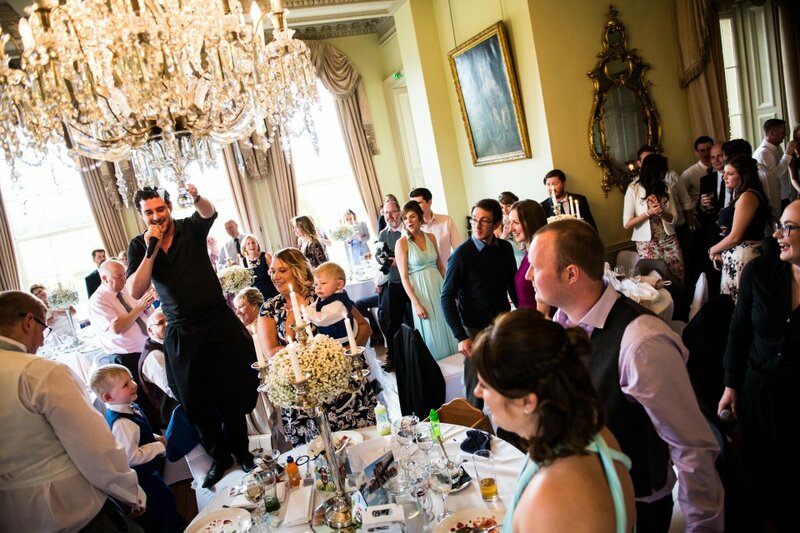 They entertained and engaged well with guests, everyone up was dancing and singing. Feedback from guests was all but positive! 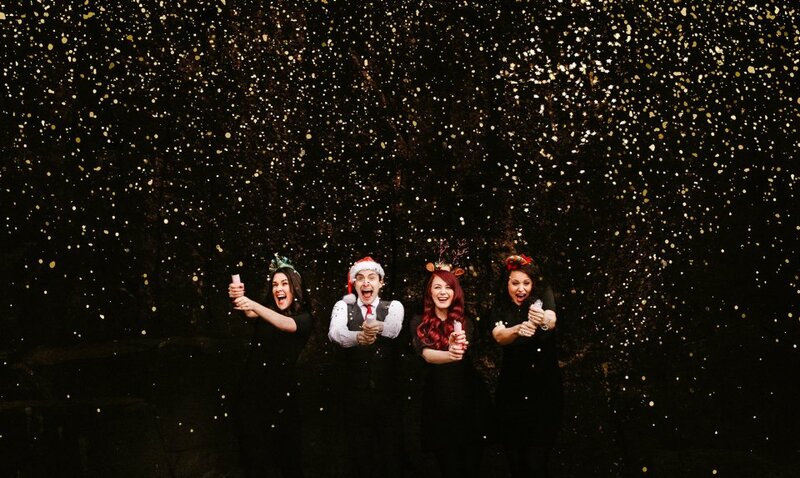 Cannot thank Warble and Undercover Singers enough for providing us with wonderful memories of our special day. Absolutely brilliant feedback on the ladies, Chris was extremely helpful too - thanks very much! Brilliant, thank you. It made my daughter's day. AMAZING AMAZING AMAZING!! 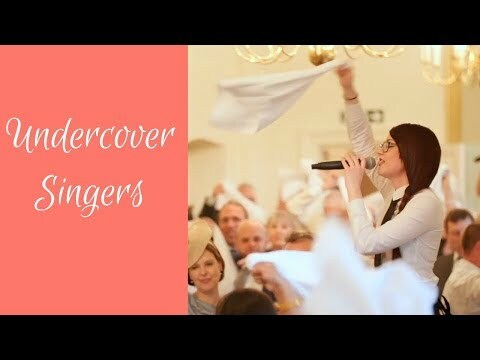 We booked the Undercover Singers for our wedding and kept it a complete surprise for all our guests. 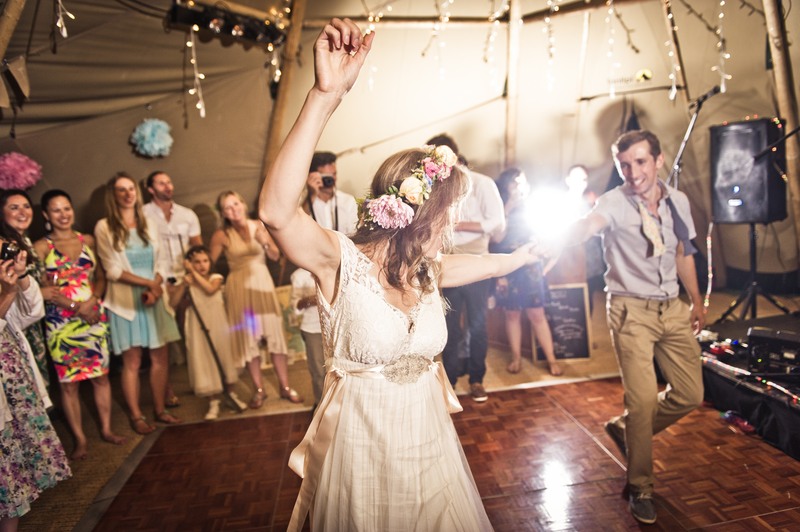 Alana and Ben were fantastic, they got all our guests on their feet, singing and dancing! It really was a highlight of the day for my husband and I. Alana and Ben were so friendly! 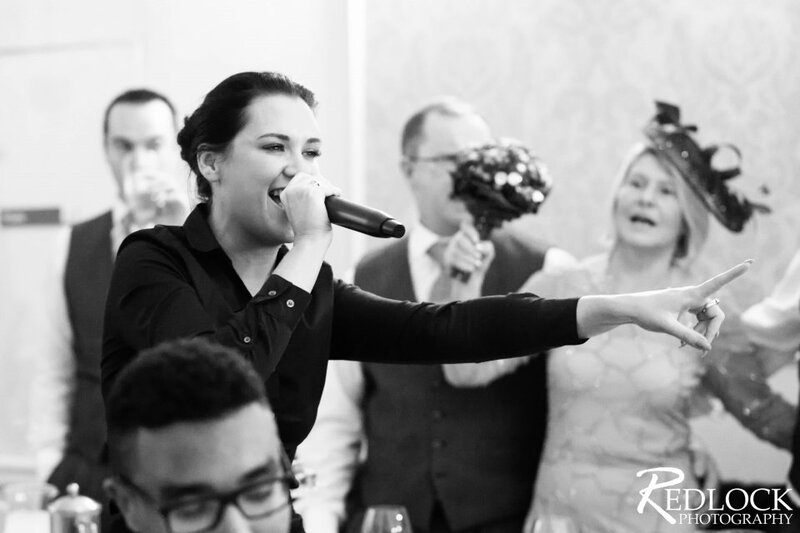 Also a big thank you to Libby for being so efficient and so easy to work with to choose the best song choices for our guests. Thank you!! Excellent. Very pleased with them. Absolutely amazing. Would definitely book them again. Superb, exceeded expectations. Will definitely use again. Absolutely fab. Made the day extra special. Wow! What a fantastic performance from Lucy of the Undercover Singers. Despite a minor technical blip at the start Lucy was the consummate professional and quickly had the set on track, with the audience on their feet and singing along within seconds. We have had so many lovely comments from our guests about the performance, it will be remembered for a long time to come. Ahead of the event the communication was excellent with no detail left to chance and every song chosen individually. Thank you for helping to make our day just wonderful! 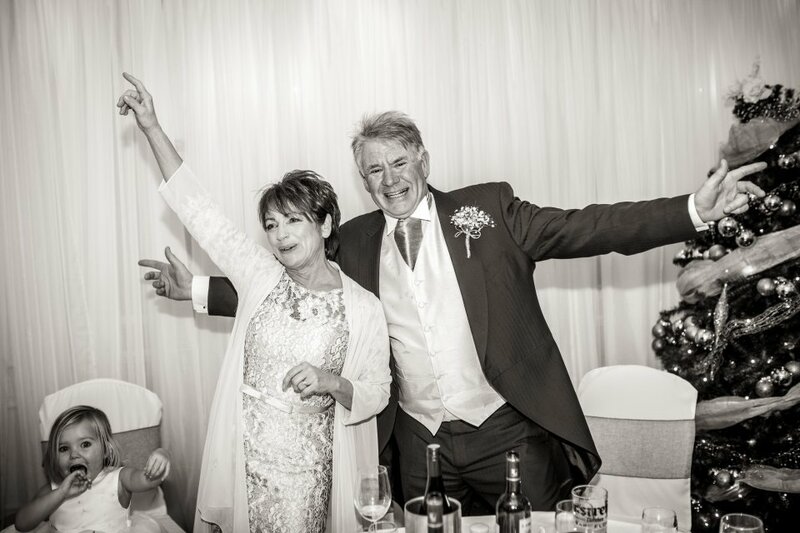 Jane & Steve Wassell (New Years Eve wedding 2016). 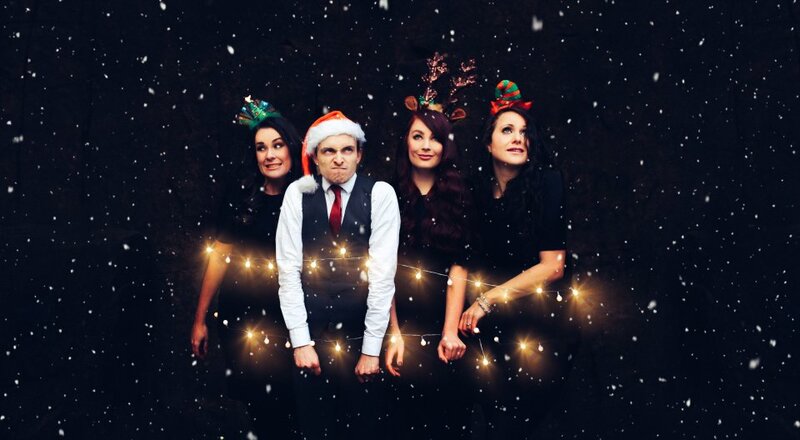 Brilliant - amazing voices, everyone loved them and I would definitely book them again and recommend them to others. All went really well. Thanks for all your help and Libby was a huge hit! The girls were amazing and entertained the guests perfectly - would definitely recommend and will be booking them again in the future. This was an great addition to an 18th birthday party! The girls were amazing singers and absolutely blew all of the guests away. The surprise element was really good fun and no one had any idea what was going on. 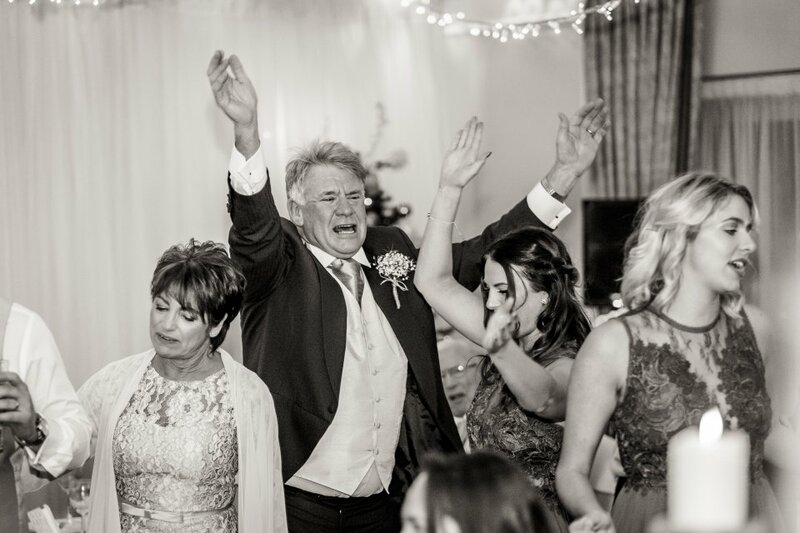 I chose the songs beforehand and even though the majority of guests were young decided to add a classical track in to the mix as this is what the singers are trained in. I was so glad that i did, some guest were even crying as the girls sang, it was that good. I would highly recommend this act, well worth the money! We really enjoyed it and they got everyone involved and singing. 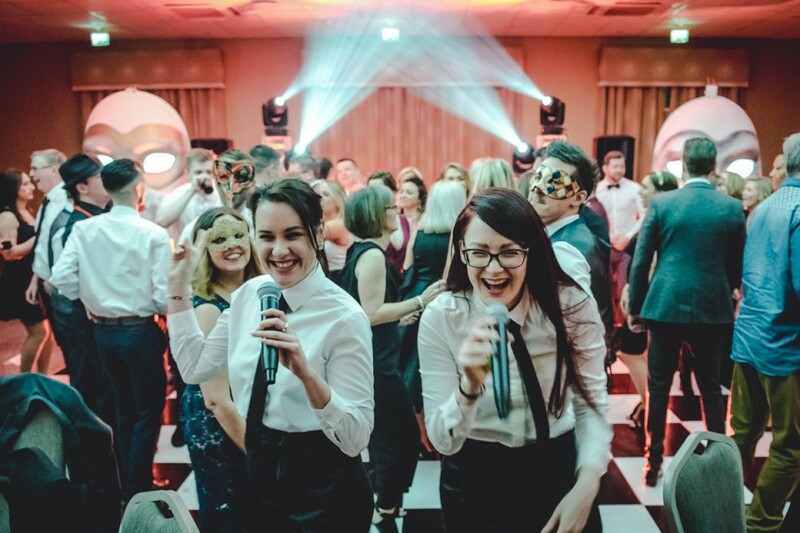 I booked the Undercover Singers for a huge corporate event of nearly 400 people, I was thrilled with them as they were so professional and created a fantastic atmosphere, they really got the crowd going and had wonderful singing voices. We asked the girls to dress up in costumes that we had provided which they very kindly did and I have to say they looked stunning! What can I say other than use one word to describe The Undercover Singers - FANTASTIC!! They delivered and then superseded all expectations and got my wedding party off to a good start. 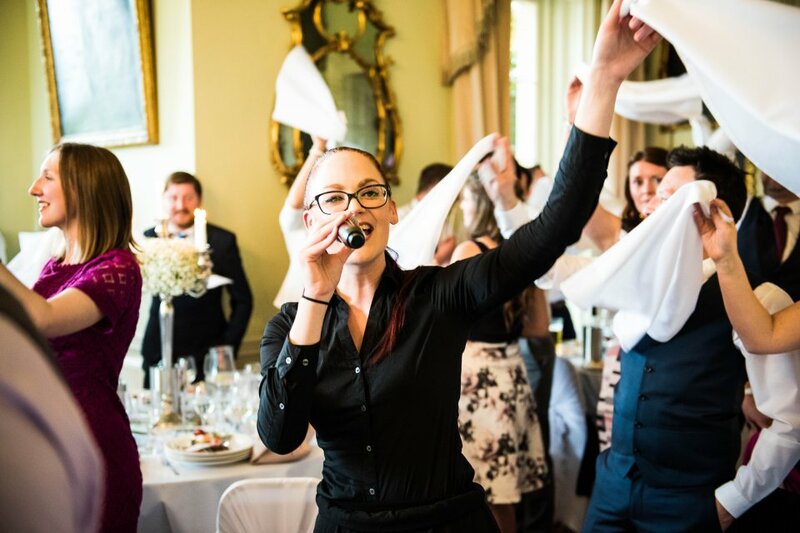 Everyone at the reception remembered the act and felt they did a brilliant job posing as waiter and waitress and then went on to belt out tunes that got the guests on their feet. Thank you for making Saturday night the best night of our lives. You brought tears of joy to my husband's eyes. Great job!! Great service, reliable, informative and helpful. 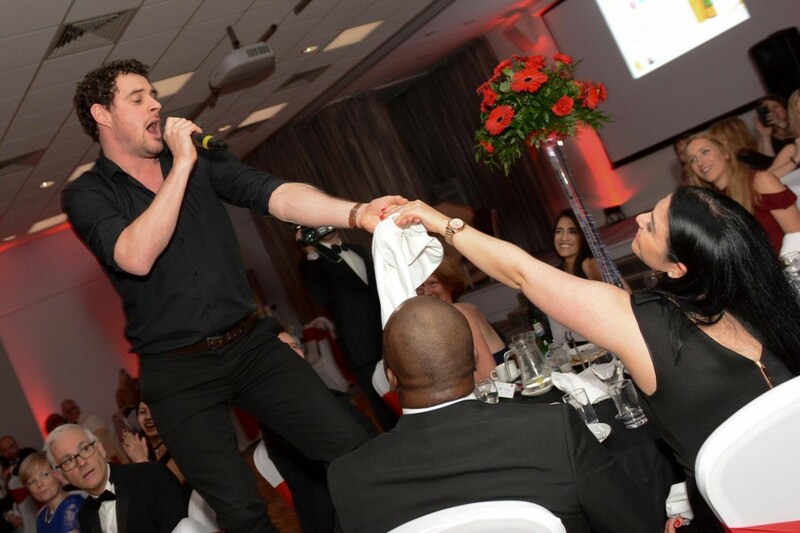 The Undercover Singers were amazing - fantastic voices, really got the guests up and ready to party - they made the night! Cannot recommend too highly! Thank you. Superb! Cannot find the words to express enough how fantastic the Undercover Singers were. 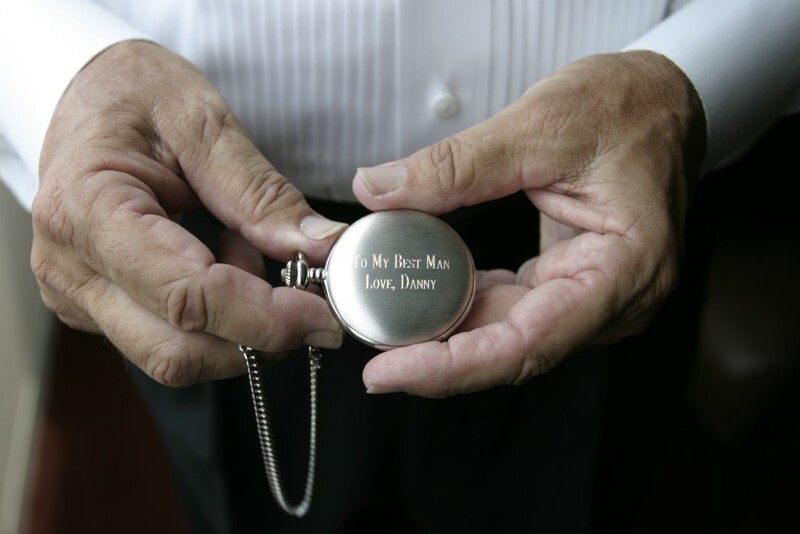 They created an emotional atmosphere among ourselves and our wedding guests that was tangible. They had us crying, laughing, singing and dancing. They definitely made our wedding unique and memorable for everyone present. 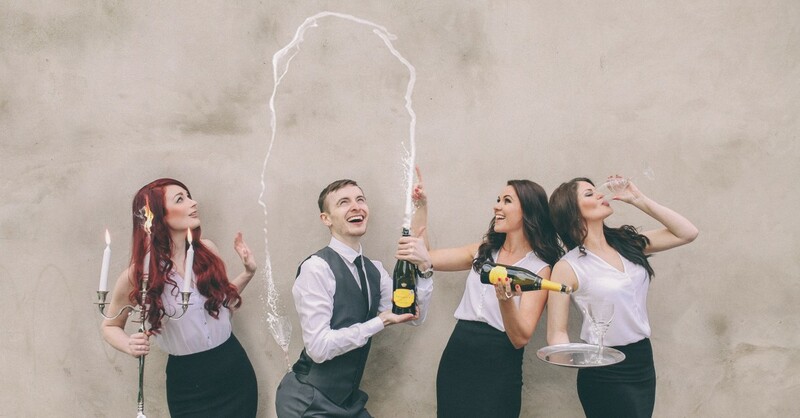 We would whole heartedly recommend them to anyone hosting an event. Amazing! Thank you so much. The girls were absolutely fantastic. My wife and guests were so surprised when they started and they have all said how brilliant they were. I could not have asked for anything better. Truly amazing. Many thanks, Rob. Everyone at our party loved the Undercover Singers. 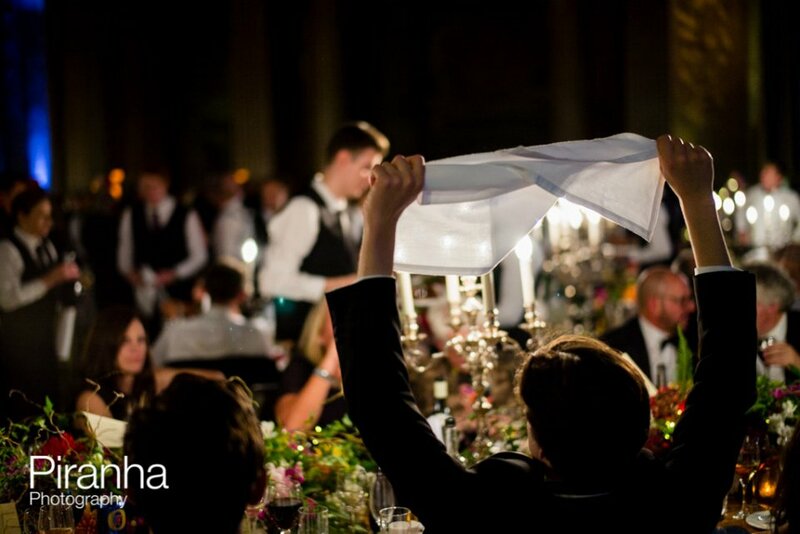 Ben and Dario arrived early to set up secretly, and then mingled with guests as waiters serving drinks and canapes. They were very accommodating when we had to delay their start time because of a catering problem. The singing was great and they got everyone joining in and singing along, very good fun! Would recommend to any party or event. The surprise element is brilliant. Ben started by singing Nessum Dorma which was amazing - several guests said they got goosebumps listening as it was so lovely. Dario followed and was also great, then they performed several songs together. We loved it all! Great communication through booking, and immediately before the party. Ben and Dario were both so pleasant and helpful. Really made our party fabulous and got everybody in the party mood and ready for dancing to the band which followed. We absolutely loved the Undercover Singers! They performed 3 operatic songs and 3 pop songs in their set. They got our guests up and dancing... and they are still talking about it today. 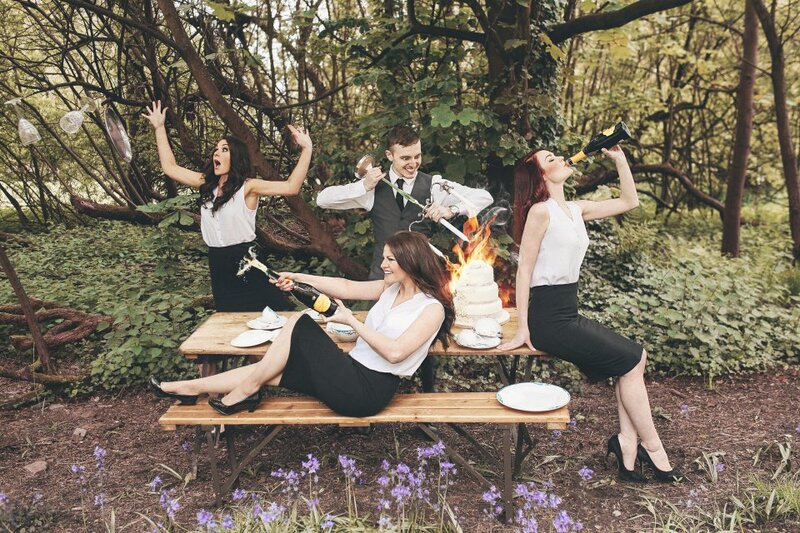 We would highly recommend the Undercover Singers to anyone looking to add a little extra to their wedding (or party). They did well to blend in with the serving staff and sung beautifully. Undercover Singers were absolutely fantastic! Our guests loved it! Highly recommended. A waitress crashes to the floor - Oh what a night! 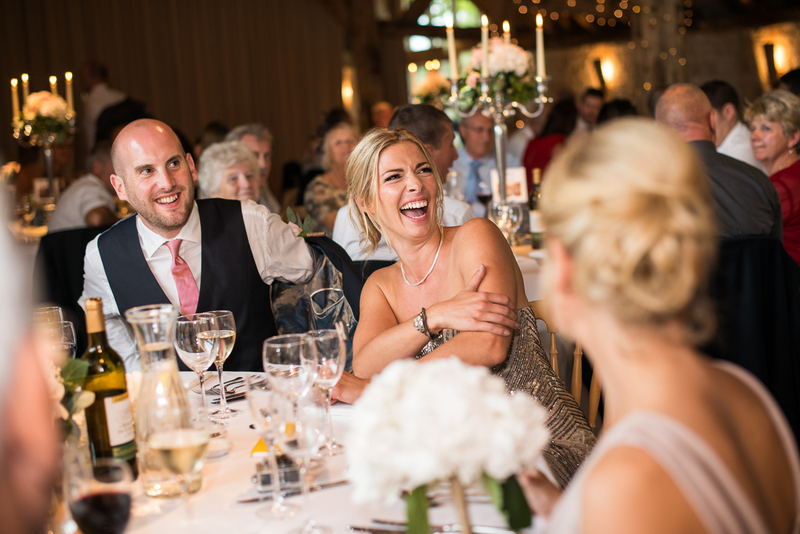 The loud crash of spoons as a waitress hit the floor silenced the 120 Wedding breakfast guests who attended Lucy Cooper's marriage to Eddie Maskell-Pedersen at Clearwell Castle in the Forest of Dean. 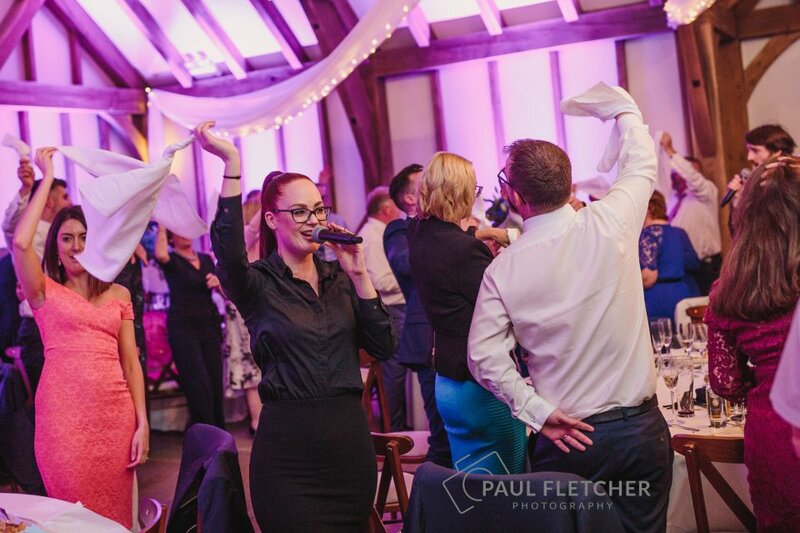 Their eyes were drawn to Libby the waitress, a superb singer in disguise, as she rose to deliver a most superb rendition of Nessun Dorma. The applause was spontaneous and deafening. The intrigue from those gathered was electrifyingly palpable. Lucy, a second Undercover Singer then joined Libby to deliver 'Can’t Take My Eyes Off You'. 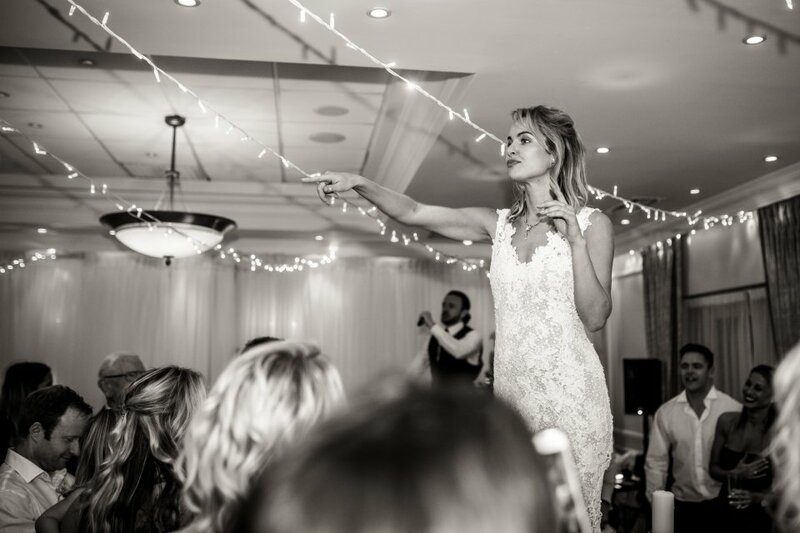 By this time the audience was fully mesmerised and the bride had tears in her eyes. 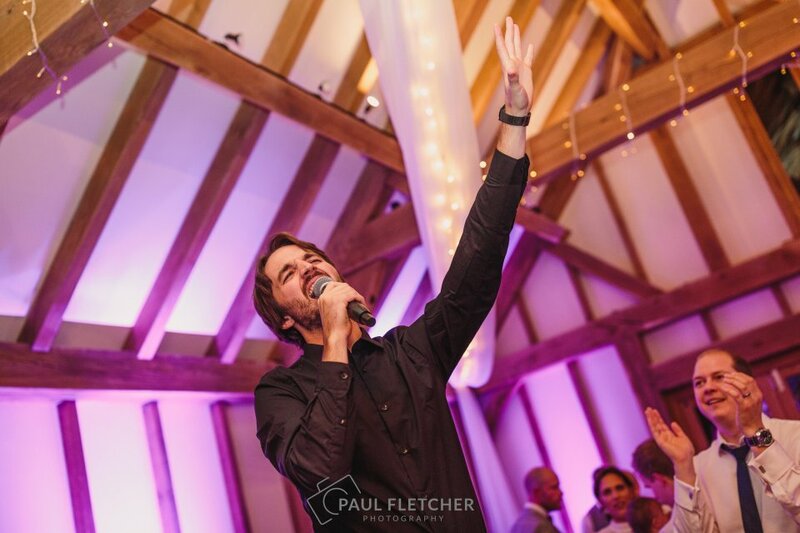 Then James the third member of the trio of professionals singers appeared from nowhere to help take the atmosphere to another level as all three belted out 'Crazy Little Thing Called Love'. 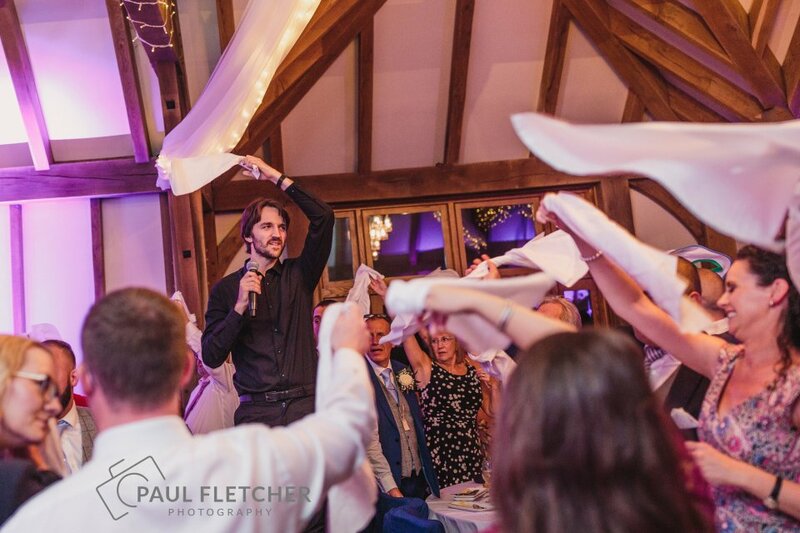 The fourth of the six songs was 'That’s Amore' and with 120 guest on their feet, all will serviettes waving aloft, it was a moment in the happy couple's day they will never forget. Then with 60 Travolta/Newton-John couples now on their feet to the iconic wriggler 'You’re The One That I Want' the house was brought down. They concluded with 'Oh What A Night'. 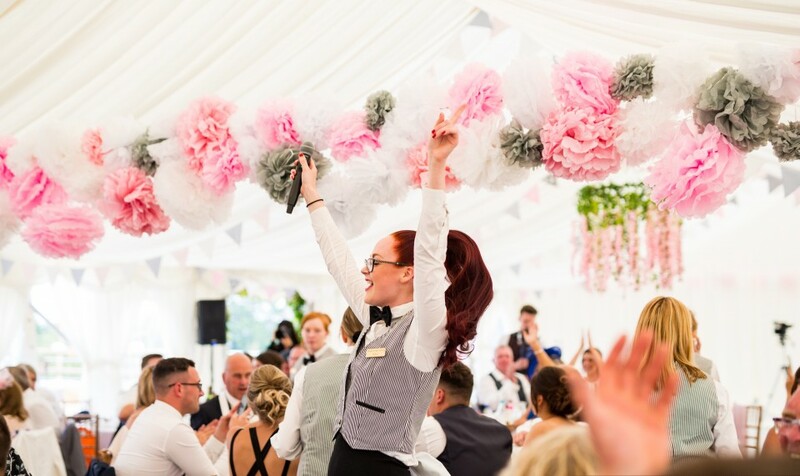 I can very highly recommend Libby, Lucy and James from the Undercover Singers to any would be wedding planner who wants the very best to help create a memorable wedding breakfast for his/her daughters wedding. 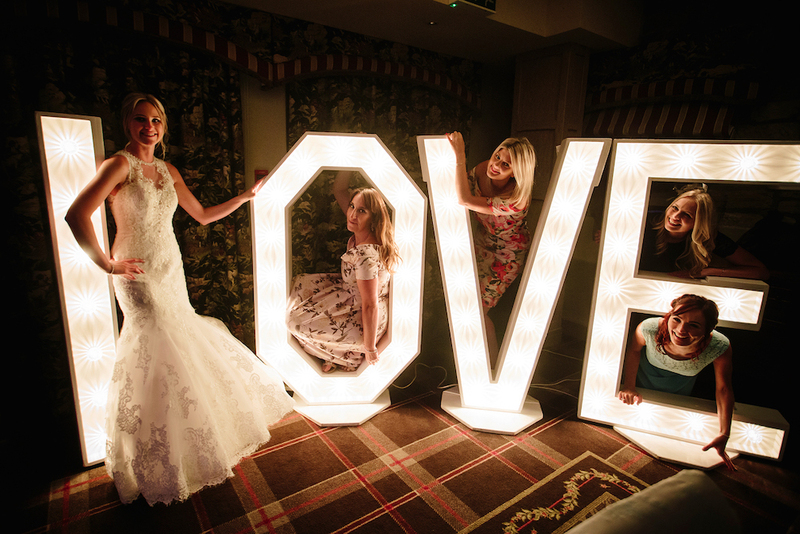 Oh yes what a night it certainly was at Clearwell Castle, the acclaimed wedding venue of the year! - Thank you Libby, Lucy & James. The Undercover Singers were a brilliant addition to our event. They arrived exactly on time, fooled everyone into thinking they're part of the waitressing team and sung beautifully! They are really good at involving the audience which made it even more entertaining. Everyone loved the act and it had the exact effect we were hoping for! Absolutely fantastic! Thank you so much Lucy and James for such a wonderful performance! The audience were amazed and we had such great feedback from everyone who attended. I would most definitely recommend Undercover Singers and we hope to see them again soon! Undercover Singers were absolutely fantastic. 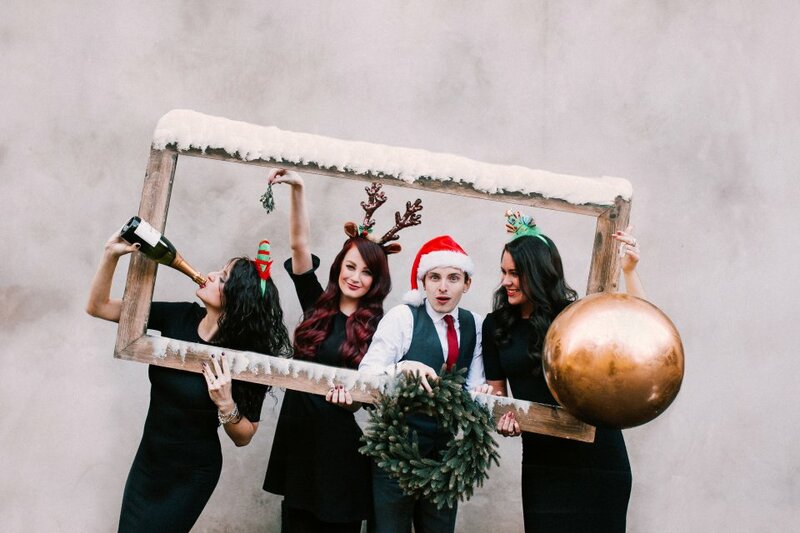 They were very profressional, so much so that even though our team booked them and had spoken to them on the phone about the arrangements for our staff Christmas party, we still couldn't distinguish them from the other waiters on the night. Everyone at the event was surpised and impressed with them and people started to get up and sing along. We hired 2 undercover singers (one man, one woman), they were both excellent singers and were very accomodating to our needs. 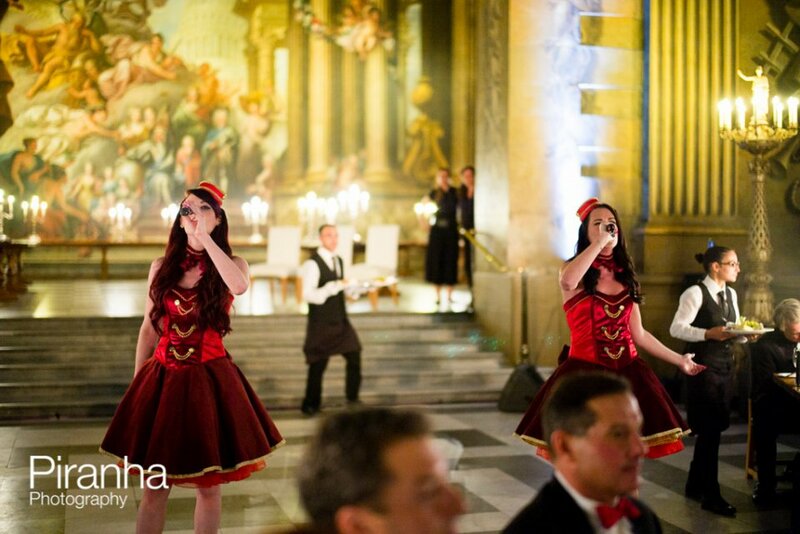 I would definitely reccommend hiring them for your event, they really bring the atmosphere to a new level. Undercover Singers were absolutely fantastic. I would highly recommend them for any occasion - they are professional and stunning. All the guests were overwhelmed by them - a great event. Fantastic! Bought tears to my eyes. 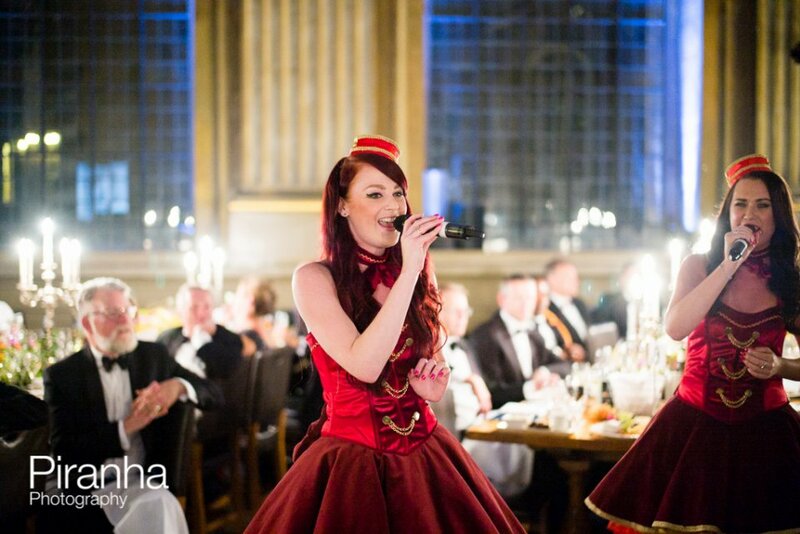 Undercover Singers provided a highly professional service from initial contact through to performance. The performance itself was captivating and absolutely fantastic. 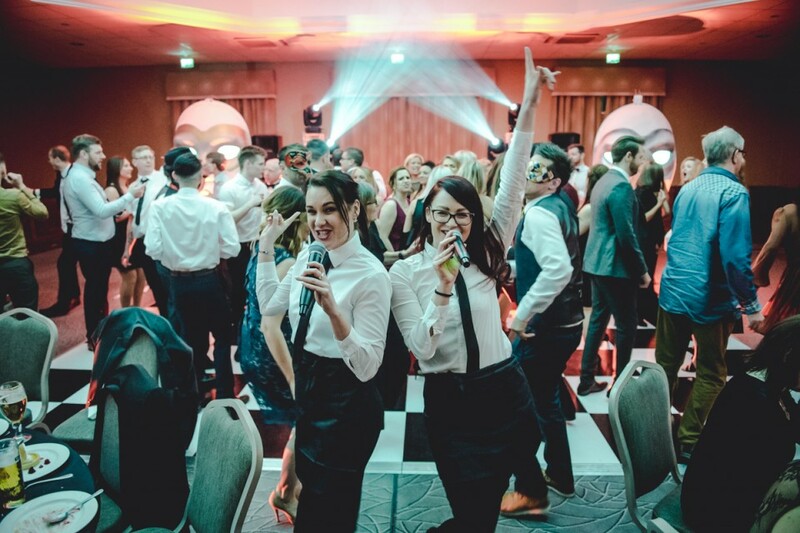 The girls are unbelievable singers and I would not hesitate in recommending them for any wedding, party or event that's looking for that something extra special!! The performance was fantastic. Kevin and Alana got the crowd going and their voices are incredible. 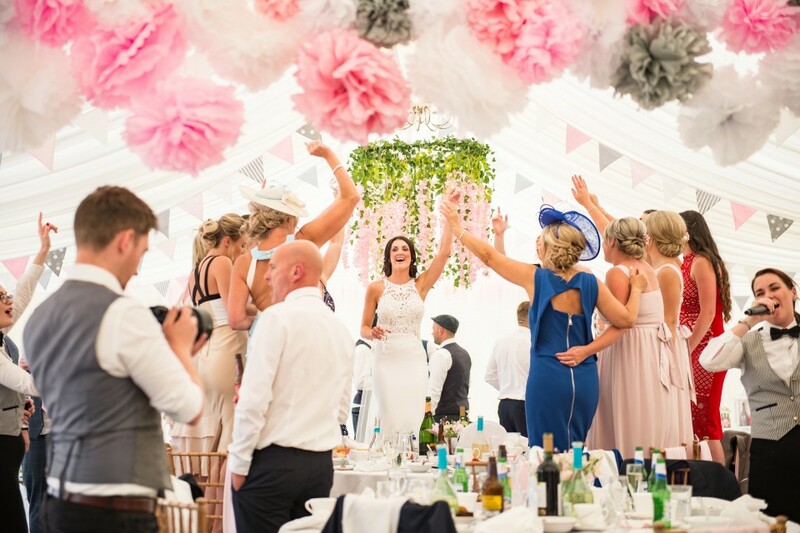 They interacted with the guests and created a real buzz that got the party started. Would highly recommend; a show stopping act! Hi Niki, Just a quick line to let you know that the Undercover Artists were absolutely fantastic on Thursday. They made our event! Thank you. 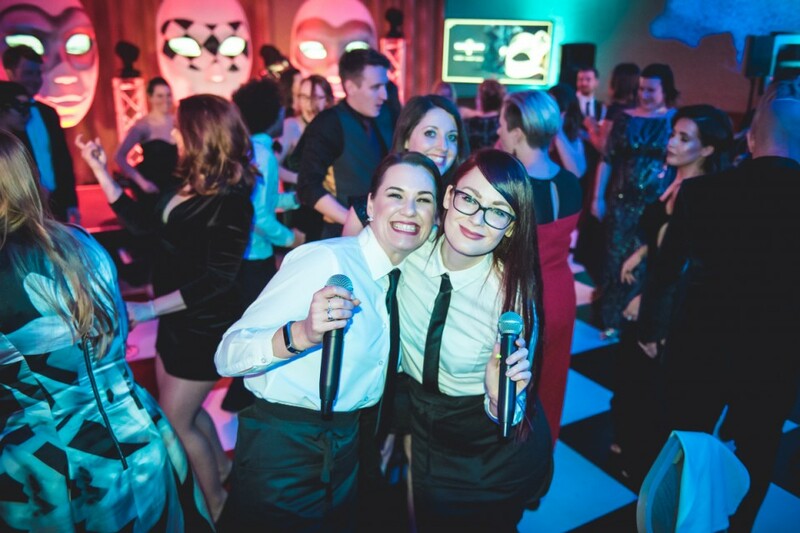 The Undercover Singers were fabulous, they were a great ending to the party and they were really a surprise to our guests. Extremely organised and punctual!! Wonderful!! 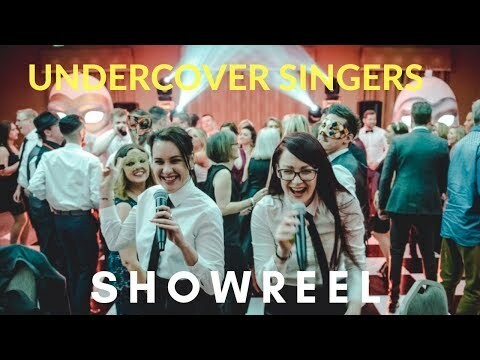 We booked the Undercover Singers for our corporate Summer Social and couldn’t have been happier. 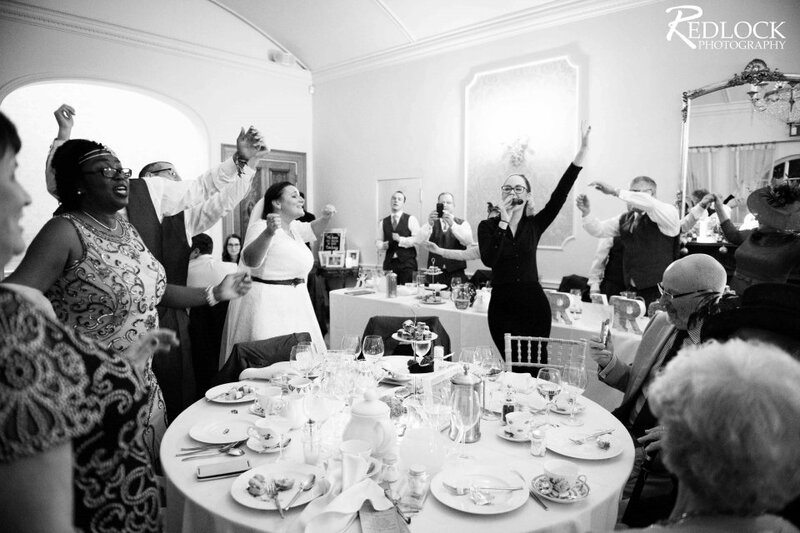 The Undercover Singers were the perfect dinner entertainment we wanted and had everyone up on their feet and dancing away. We only wished we had booked them for longer! Undercover Singers made our 40th Anniversary dinner a very special occasion for our family, young and old. I would love to book them again given the opportunity. Every surprise will be different depending on the party and situation, although we generally follow a similar pattern for our shows. 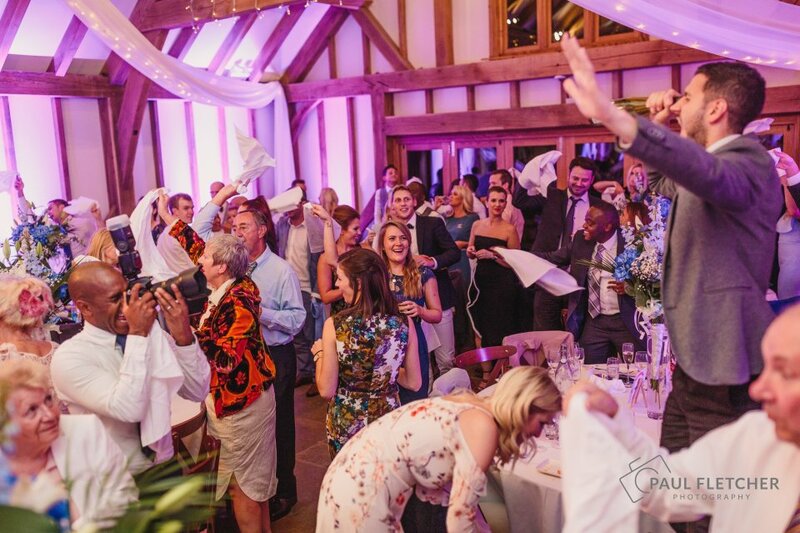 The team you have booked will arrive an hour and a half before your guests are due to arrive to set up the PA system and sound check, this is so that no one in your party can spot us and ruin the surprise. We will then change into the uniform of the venue and start helping out with duties for when your guests arrive to blend in. 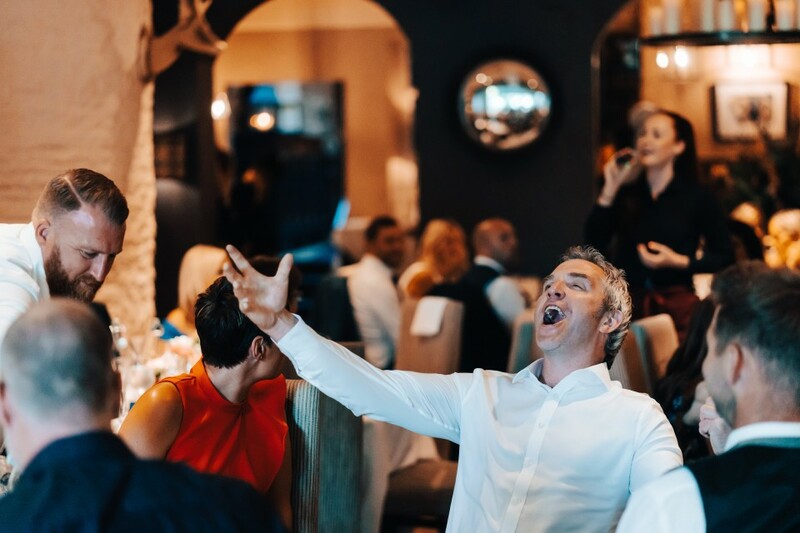 Throughout the meal/buffet/drinks reception we will be as involved as possible, helping out with canapes, starters, mains, etc... before bursting into song as desserts have been placed down. Unlike other companies, we don't like causing a negative atmosphere by starting with an argument, or bringing a chef out who hasn't been seen throughout the entire meal. We like to use one of our female waitresses who has been serving you all day. 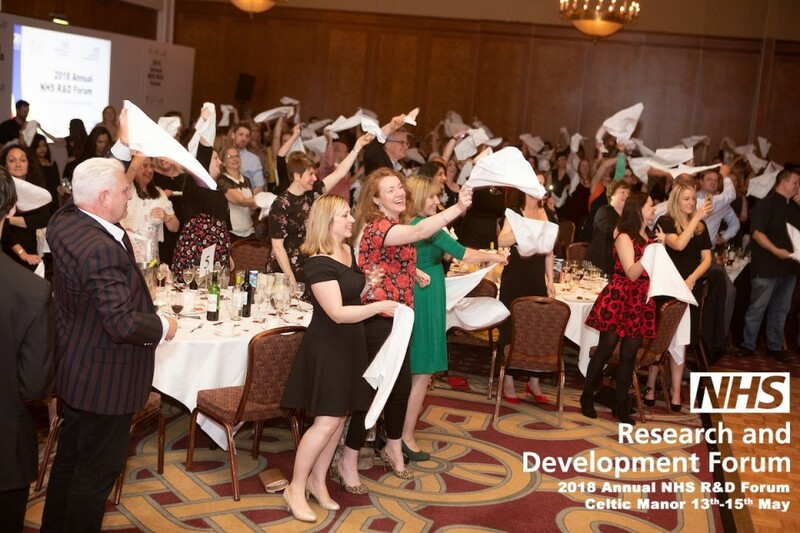 As the last dessert has been placed on the table, one of our team will be walking through the room with a very large tray of spoons ready to place them on another table, only as they do so, they fall and trip on the floor falling flat on their face, causing a massive commotion. 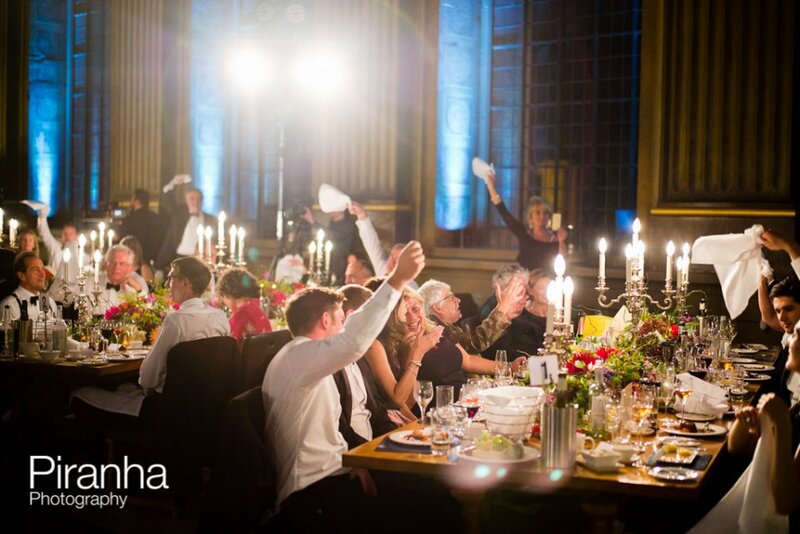 As guests go to help them up, one of the other waiters will start the music, and the waitress who has fallen on the floor will get up and start singing, before others join in as the set goes on. HOW LONG WILL YOUR SHOW BE? Our surprise shows usually last between 20-30 minutes, this is usually 6-8 songs. We find this amount of time works best and keeps everyone entertained. 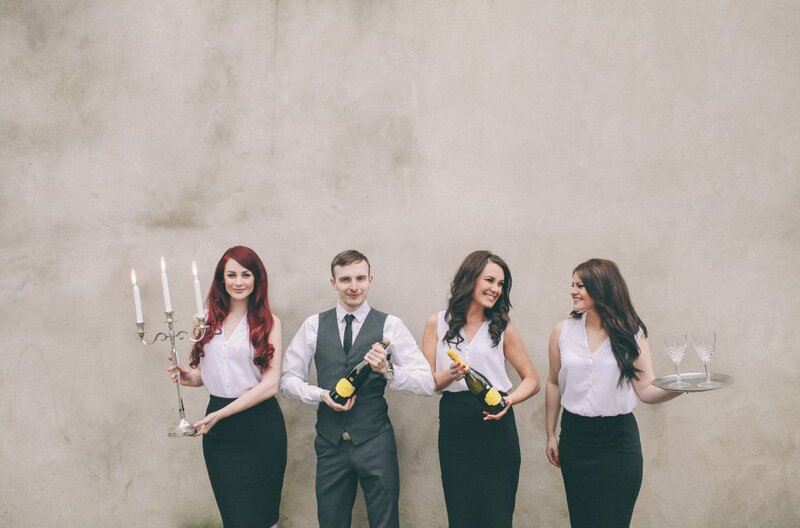 We have an extensive set list which you can choose from, ranging from Classical, to Rat Pack. If you can't find what you're looking for we will learn an additional 2 songs with 1 months notice. Yes we do. We provide PA systems and radio mics for our shows. 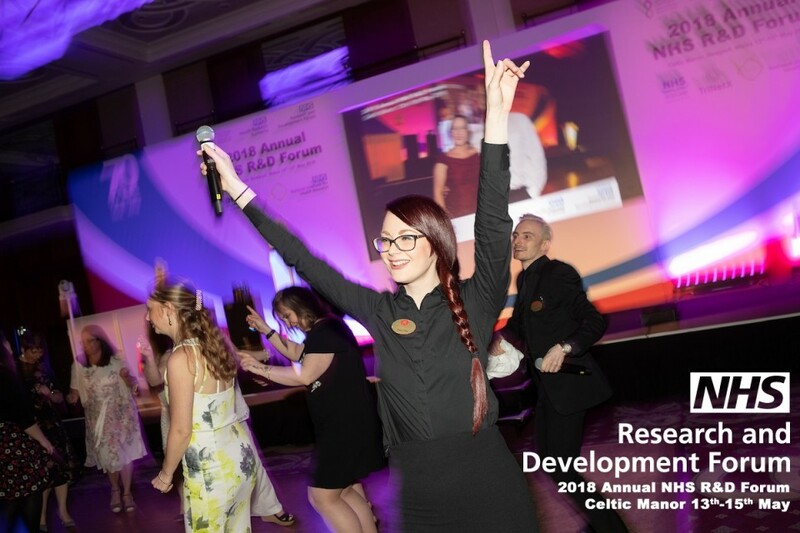 However if you have a large venue with over 200+ guests you will need to arrange, or we will arrange on your behalf, a larger PA system (at an additional cost). We are also fully insured with Public Liability Insurance with coverage of up to £10,000,000 and can provide a copy should you need it. All our equipment has also been PAT tested. Our main base is in Warwickshire in the Midlands but we have performers dotted all over the country, from London to Derbyshire. 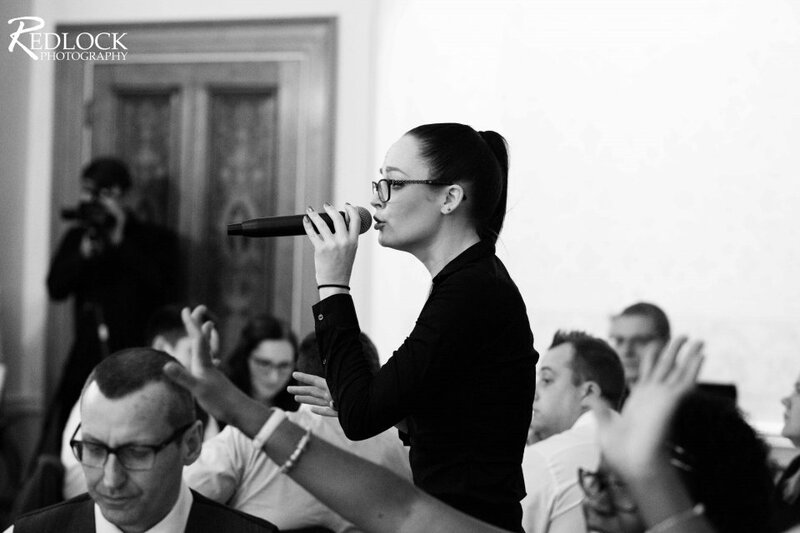 We will also travel and have performed all over the world, from The Property Awards in Northern Cyprus to the Caribbean, no show is too far for us to travel. At Undercover Singers, we only use the highest standard of performers. 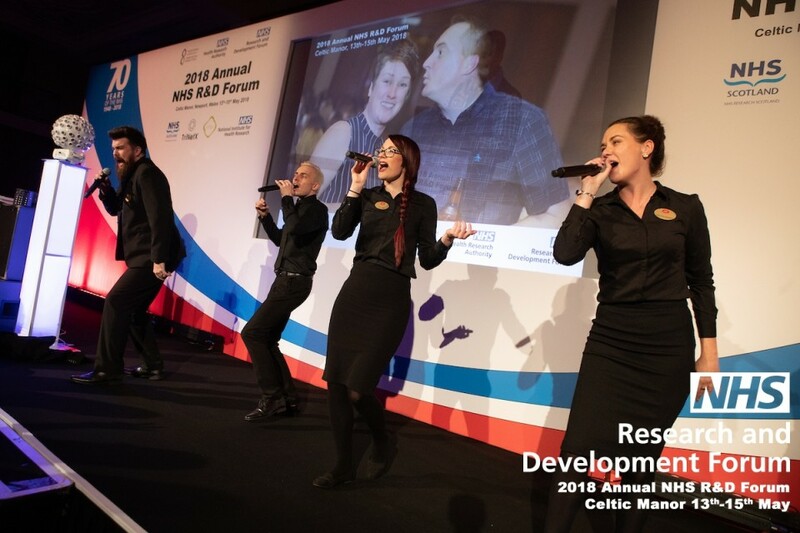 What makes us different is we are a small community of singers who have all worked together in the West End or at high profile events together over the past 10 years. From performing at the Champions League Final in Berlin, to The Royal Albert Hall, we only use the best singers. 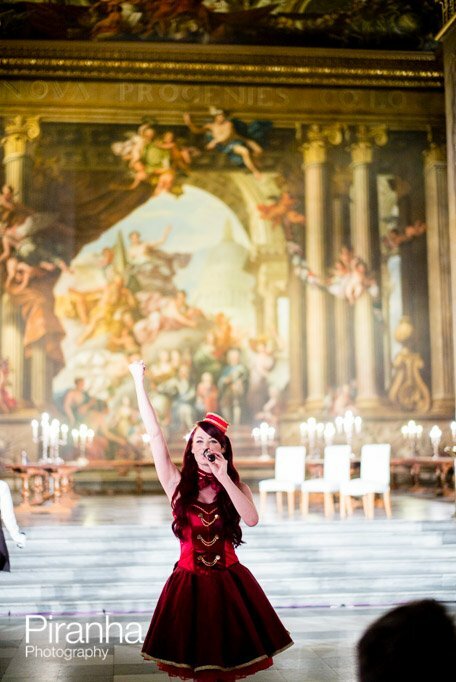 All singers have been Classically trained or attended Drama School in London so can perform all genres of music. We like to throw a couple of Classical songs in there to show what we can really do, but we guarantee only the best. Our standard package comes in teams of 2, but we can provide up to teams of 6 should you wish. We also provide male and female performers with the male/female or female/female being our most popular lineup. Please specify which you would prefer when booking so that we can accomodate your needs. CAN YOU OFFER ME AN ALTERNATIVE? 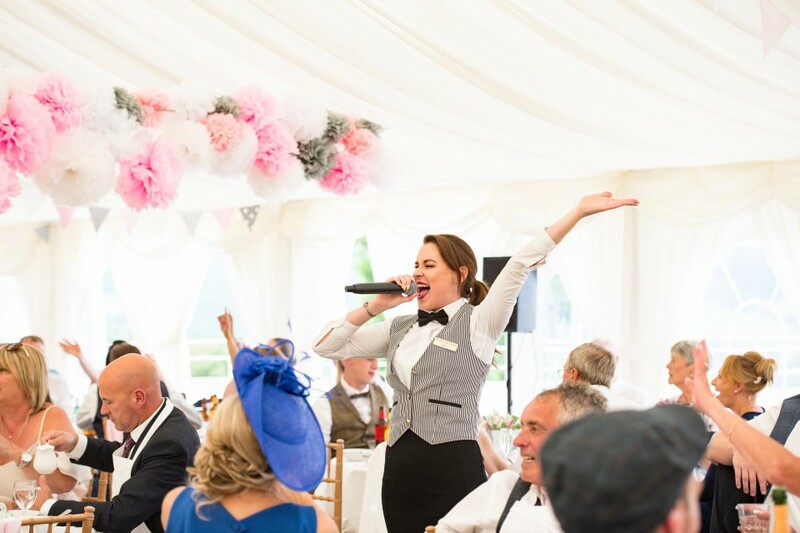 Yes, if you would rather something a bit different we can offer singing policemen/women, singing bar staff, singing guests, the list goes on. We can also provide singing Frozen characters. All London prices include congestion zone, however parking must be provided for, or be reimbursed. Shows with a 3 hour commute in one direction (not allowing for traffic) will need to provide a hotel room for performers. This is not included in our fee. Prices for Scotland do not include travel expenses or accommodation. Fuel will be worked out on a case by case basis, accommodation must be provided for performers. 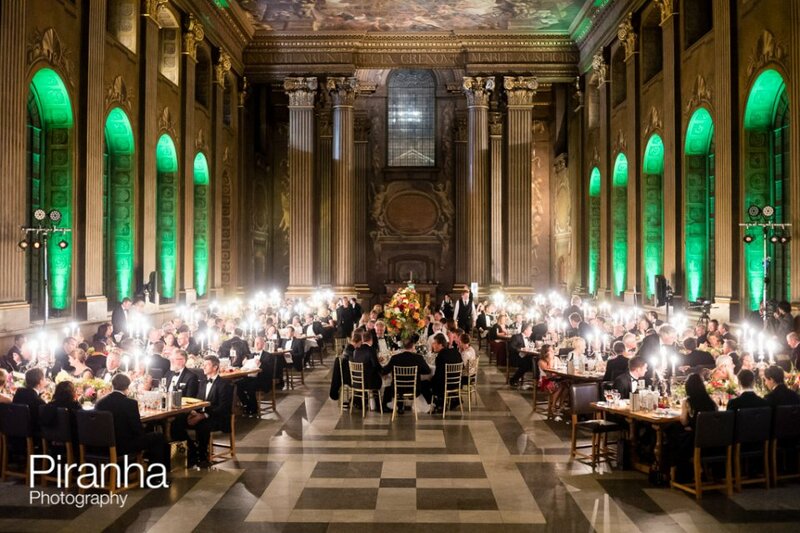 Our PA system is suitable for up to 200 guests. Anything above this and the client will need to provide PA system. All prices abroad are based on 2 overnight stays (day before the event and evening of the event, flying home the day after). 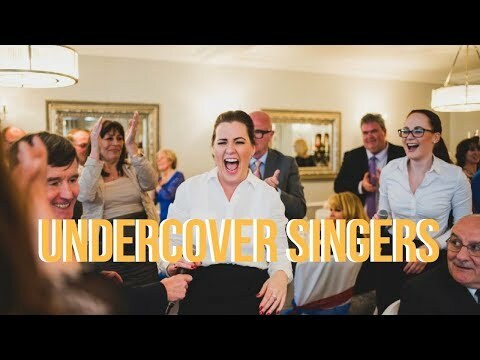 Customers who have enquired for Undercover Singers have also been interested in the following Classical Singers & Surprise Singers also available in the Midlands, the North and the South. For more information or further options, please call 0845 643 9384.